Zilberman Gallery is proud to announce the representation of Elmas Deniz, Manaf Halbouni and Mahen Perera. Guido Casaretto, Elmas Deniz and Azade Köker will be participating in the exhibition ‘Nature in Art’ taking place at MOCAK (Museum of Contemporary Art in Krakow), Krakow, Poland running from 26 April to 29 September 2019. Zilberman Gallery is pleased to announce the acquisition of Alpin Arda Bağcık’s works Melperon, 2017, Acamprosate, 2018 and Deniban, 2019 by 21c Museum Hotels. 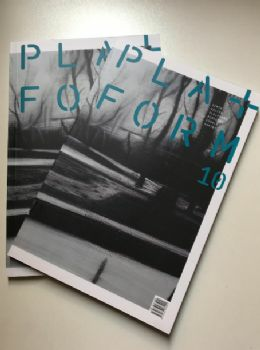 Alpin Arda Bağcık's work Trifluperazin 3, 2015 was featured on the cover of Pla+form magazine published by İzmir Kültür Pla+formu Initiative. Moiz Zilberman, talked about the 10 years of Zilberman Gallery at the panel 'Art Talk: The Institution-Like Gallery' taking place at Rossi & Rossi, Hong Kong on 28 February 2019. Munch Museum, Norway will present a solo exhibition of Pedro Gómez-Egaña as part of the Munchmuseet on the Move (2019) curated by Natalie Hope O'Donell. 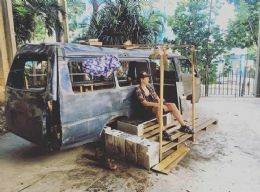 Manaf Halbouni participates in the 13th Havana Biennial taking place between 12 April - 12 May 2019, curated by Nelson Herrera. Manaf Halbouni will be participating in the exhibition 'FORGOTTEN ENLIGHTENMENTS: Unknown stories about Islam in contemporary art' taking place at the HALLE 14, Leipzig from 27 April to 4 August 2019. Memed Erdener participates in the group show titled ‘Roots and Growth - Traditional and Contemporary Art from Turkey’ curated by Tuçe Erel and Sharon Laor-Sirak at Museum of Islamic and Near Cultures, Be’er Shaeva, Israel running from 20 February 2019 onwards. 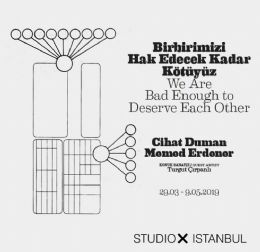 Memed Erdener 's exhibition with the poet Cihat Duman, 'We Are Bad Enough to Deserve Each Other' at Studio-X Istanbul is on view from 29 March to 9 May 2019. Heba Y. Amin participates in the group exhibition titled ‘Tomorrows: Speculative Fictions for Mediterranean Futures’ taking place at Le Lieu Unique from 27 March to 2 June 2019. With her video work As Birds Flying, 2016, Heba Y. Amin participated in the group exhibition ‘EARTH/SKY’, curated by Ryan Bishop and Jussi Parikka in the Calit2 Gallery at UC San Diego. 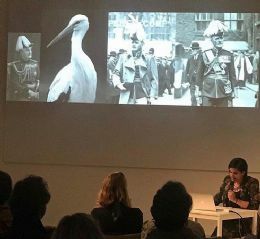 On 16 February 2019, Heba Y. Amin participated in the Perruche program at the Foundation Thalie in Belgium in collaboration with Goethe Institute with her lecture performance titled ‘The General's Stork'. With her supported film ‘Homeland is Not A Series’, Heba Y. Amin was selected as a Field of Vision fellow this year. This year’s fellows have been selected from filmmakers who have worked on or have a film currently in production with Field of Vision. 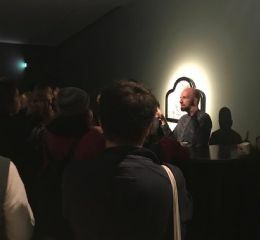 On 28 March 2019, Simon Wachsmuth gave a talk on his film 'Pulad Zurkhaneh (2007)' on occasion of 'A Utopian Stage' project with the curator Vali Mahlouji at SAVVY Contemporary in Berlin. 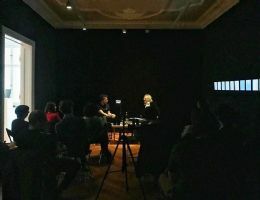 Burçak Bingöl and Memed Erdener, also a jury member of this year’s edition, attended the series of talks titled ‘Mamut SHOTS’ on 6 April 2019 as part of Mamut Art Project. Burçak Bingöl talked about her artistic collaboration with the renowned French fashion house Christian Dior at Oylum Talu’s television show 'Söz Sende' on Habertürk. With his work Comfort Zone A, 2016, Erinç Seymen took part in the group exhibition ‘Standard’ at adas, Istanbul, curated by Melike Bayık, on view from 7 April to 11 May 2019. 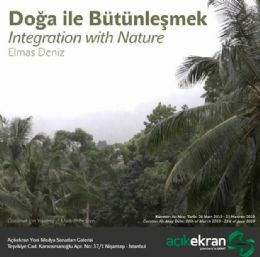 Elmas Deniz's solo show on view at Şekerbank Açıkekran New Media Art Gallery running from 26 March to 21 June 2019, ‘Integration with Nature’ curated by Ali Akay, contains her three video works focused on the nature-human relationship. Elmas Deniz’s video work Made to Be Seen, 2017 was included in the screening program organized by Kevser Güler in collaboration with 'birbuçuk' art collective as part of Güler’s talk at ACROSS #22 in Nice on 16 March 2019. 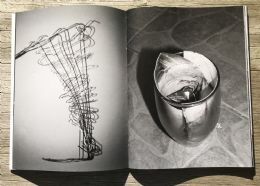 Zeynep Kayan’s photobook ‘Untitled’ published by AKINA in 2018 was presented at the Photobook Market of Photowien from 23 to 24 March 2019. 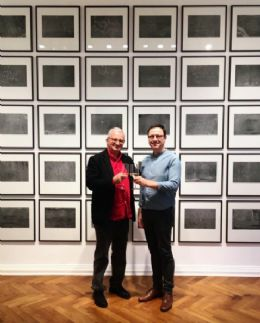 On 30 March 2019, Selçuk Artut and media theorist Siegfried Zielinski gave a talk on occasion of the catalog launch and the artist's solo exhibition ‘Habituation’ taking place at Zilberman Gallery–Berlin between 18 January and 12 April 2019. 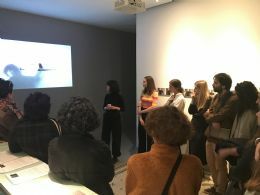 On occasion of Zeynep Kayan’s exhibition ‘Temporary Sameness’ at Zilberman Gallery–Istanbul, an exhibition tour and conversation between catalogue writer Clotilde Scordia and the artist Zeynep Kayan took place on 5 April 2019. With her collage Marie Juchacz and her sister Elisabeth Kirschmann (2018), Azade Köker participated in the group exhibition 100 Jahre Frauenwahlrecht - 19+1 Künstlerinnen, curated by Andreas Kaernbach and Kristina Volke in the Deutscher Bundestag on occasion of the celebrations marking 100 years of women's suffrage. 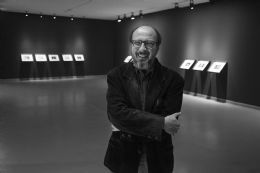 Zilberman Gallery’s founder-partner Moiz Zilberman was invited to become a patron of Colomboscope Art Festival by this year’s curator Natasha Ginwala. 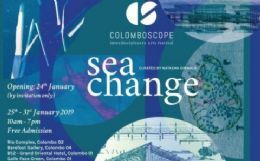 COLOMBOSCOPE is Sri Lanka’s only festival platform for contemporary art and interdisciplinary dialogue taking place across a range of historical venues in different neighbourhoods of Colombo since 2013. 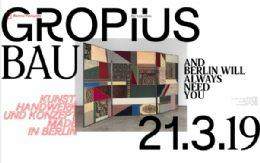 Simon Wachsmuth will be participating in the exhibition And Berlin Will Always Need You. 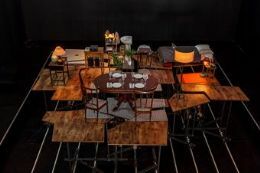 Art, Craft and Concept Made in Berlin taking place at the Gropius Bau, Berlin from 22 March to 16 June 2019. Zilberman Gallery, Istanbul–Berlin is pleased to announce the artistic collaboration between the artist Burçak Bingöl and the renowned French fashion house Christian Dior. Dior’s Lady Dior Art project, in which many artists like Marc Quinn, Joan Giorno, Jason Martin were included in the previous editions, took place for the third time this year. 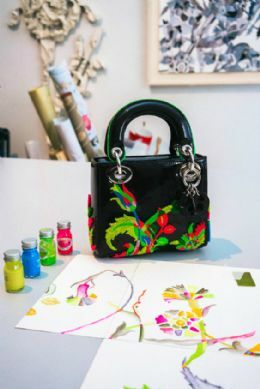 Dior’s creative director Maria Grazia Chiuri invited artists to re-interpret the Lady Dior bag for 2019. Erinç Seymen participates in the third exhibition of the digital arts platform Museum without Walls which offers an artistic experience that is independent of time and space, titled Dancing with Witches. 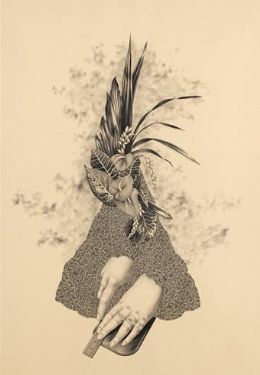 Curated by Mine Kaplangı, the exhibition focuses on Museum without Wall’s theme ‘woman’ and takes inspiration from a current focus on the witch/woman as a symbol of power and works of English literature which foreground women’s rights and equality. With her installation Operation Sunken Sea, 2018, Heba Y. Amin participates in the group exhibition Still Burning taking place at Varbergs Konsthall, Sweden, from 19 February to 19 April 2019. Heba Y. Amin gave the lecture performance Operation Sunken Sea on 31 January 2019 on occasion of the Konstfack Research Week 2019 at Svarta havet. Zeynep Kayan’s new series of photographs titled 'Temporary Sameness' which will be on view at Zilberman Gallery–Istanbul from 16 February 2019 to 4 May 2019 was premiered on UNSEEN Platform. 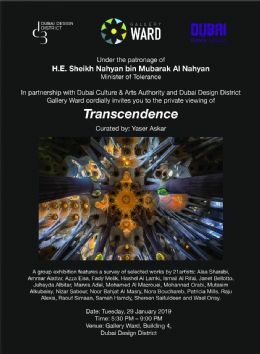 With her works Disaster Signals, 2016 and Lifesaving, 2016, Janet Bellotto participated in the group exhibition Transcendence curated by Yaser Askar taking place in Gallery Ward, Dubai opening on 29 January 2019. Burçak Bingöl, Antonio Cosentino, Memed Erdener and Azade Köker are participating in the exhibition PAPER in PİLEVNELİ Project’s new space in the old liquor factory in Mecidiköy on view from 12 February until 24 March 2019. 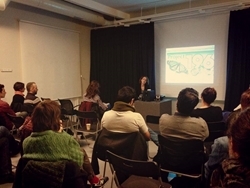 Burçak Bingöl participated in the lecture series FIELD MEETING Take 6: Thinking Collections as part of the Signature Forum organized by ACAW on 25 and 26 January 2019. Burçak Bingöl was invited to speak at the Contemporary Art Meetings event organized by Contemporary Istanbul sponsored by Akbank. 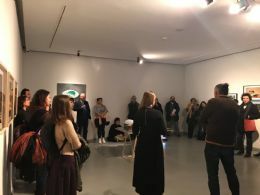 Çelenk Bafra, curator of the group show An Exile on Earth, together with the artists Antonio Cosentino and Zeynep Kayan gave a tour through the exhibition on 22 January 2019. Zilberman Gallery–Berlin was pleased to host Selçuk Artut at the Zilberman artist residency for a month. Pedro Gómez-Egaña’s solo exhibition 'Sleipnir' is taking place at Yarat Contemporary Art Space in Baku, Azerbaijan from 9 November 2018 until 10 February 2019. Memed Erdener participates in the exhibition 'THE STREET. WHERE THE WORLD IS MADE', curated by Hou Hanru and the curatorial team of MAXXI, Rome taking place between 07 December 2018 and 28 April 2019. Memed Erdener is chosen to be part of the jury of Mamut Art Project 2019 which will take place between 3 and 7 April 2019 at KüçükÇiftlik Park in Istanbul. Erinç Seymen is participating in the group show 'Revolution Generations' at Mathaf: Arab Museum of Modern Art in Doha, Qatar, running between 17 October 2018 and 16 February 2019 with his sculpture Untitled, 2010. Antonio Cosentino’s The Stelyanos Hrisopulos was exhibited at Riverrun, Istanbul between 23 October and 1 December 2018. Antonio Cosentino participated in the Mahalla Festival 2018 taking place in Zabbar, Malta between 17 and 25 November 2018. Zeynep Kayan is part of the exhibition 'CONCEALED' at Kasa Galeri, Istanbul taking place from 7 November to 22 December 2018 together with the artists Can Akgümüş and Yuşa Yalçıntaş. 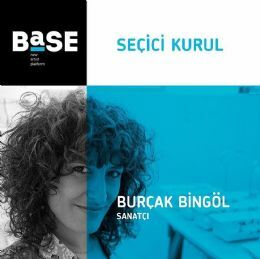 Burçak Bingöl is appointed as a jury member in the selection committee of this year’s 'BASE' which will take place at Galata Greek Primary School in Istanbul between 20 and 23 December 2018. 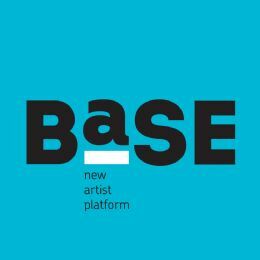 Antonio Cosentino, Memed Erdener and Erinç Seymen will participate to 'BASE Talks' at Galata Greek Primary School between 20 and 23 December 2018 in Istanbul. With her Black Athena Collective, Heba Y. Amin gave the lecture "Regimes of Passage" as part of the 'Violence in the Arts' series at UdK, Berlin. 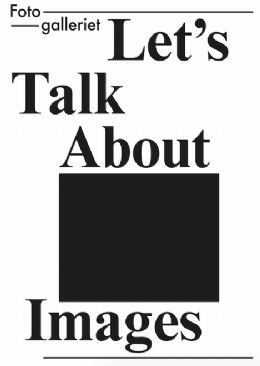 Heba Y. Amin gave the talk "Technological Dystopias" as part of the lecture series "Let's Talk About Images" conceived by Fotogalleriet director Antonio Cataldo. The talk took place on November, 29. Heba Y. Amin participates in the group exhibition 'Tribe: Contemporary Photography from the Arab World' at the American University Museum in the Katzen Arts Center, Washington DC, taking place between 10 November and 16 December 2018. Selçuk Artut’s new work IKOSA was presented in the Plugin section of Contemporary Istanbul 2018. 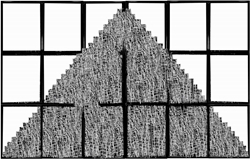 IKOSA is a geometric abstraction with its entangled mathematical structure in which we are observing a marriage of physical perfect forms with computational visual structures. The exhibition series 'Sleeping with a Vengeance, Dreaming of a Life' opened its third iteration in the Institute for Provocation in Beijing from October 7 until November 1, 2018. With his work Loksapin, Alpin Arda Bağcık participated in the exhibition 'Darağaç III' which took place for the third time at the Umurbey neighborhood of Izmir between 5 and 7 October 2018. Alpin Arda Bağcık participated in the group exhibition ‘DESTRUCTION’ organized by GLOBOLOKAL taking place at Austro-Turk Tütün Deposu between 15 and 30 September 2018. An interview with Eşref Yıldırım was included in the documentary film 'The Sin of Being a Woman' which will be premiered on 5 December 2018 at Kadir Has University. 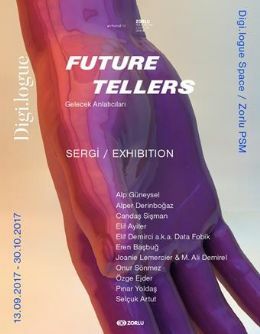 Selçuk Artut curated the group show ‘Recipher: Creative Coding’ including 'Creative Coding' course students from Sabancı University which took place at Sabanci University Arts Gallery, Istanbul between 2 and 12 October 2018 and at the exhibition hall of Zorlu PSM, Istanbul as part of the exhibition of Digilogue/Futuretellers between 1 October and 17 November 2018. 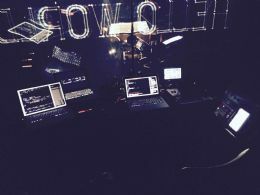 On 6 October 2018, with his live coding duo RAW, Selçuk Artut performed at Zorlu PSM, Istanbul as part of the exhibition 'Digilogue / Futuretellers’18'. 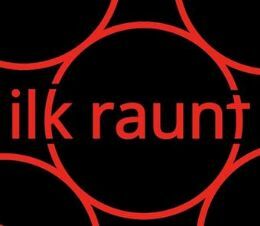 Selçuk Artut performed with his live coding duo RAW (Selçuk Artut and Alp Tuğan), at the 'Coding the Party: Algorave' programme on the 29 November 2018 at SALT Beyoğlu, Istanbul. Selçuk Artut made two presentations on ‘Creative Coding’ for the '4th Istanbul Design Biennial’s Academy Days #3' at Yapı Kredi Cultural Center, Istanbul on 9 October 2018 and Academy Days #4 at Akbank Sanat, Istanbul on 16 October 2018. Selçuk Artut was invited to speak at the panel ‘Meeting the Future’ as part of Good Design_3 on 20 October 2018 in Izmir on 20 October 2018. On 6 October 2018, Heba Y. Amin and art historian Geoff Lehman gave a talk on occasion of the catalogue launch and the artist's solo exhibition ‘A Rectilinear Propagation of Thought’ taking place at Zilberman Gallery–Berlin between 15 September and 2 November 2018. The catalogue includes texts by Heba Y. Amin, William Kherbek, Lotte Laub and Jill Magid. On occasion of the exhibition "A Day at Hotel" and the catalogue launch, Rita Ender held a conversation together with the artists Başak Bugay, Hera Büyüktaşcıyan, Can Küçük and Erinç Seymen on 19 October 2018. The exhibition was on view from 21 September to 17 November 2018. 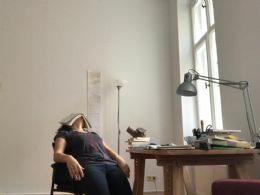 Burçak Bingöl spent a month at the artist residency at Zilberman Gallery in Berlin. 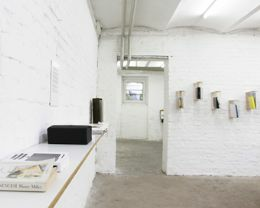 The residency gives artists the opportunity to live and work in Berlin for a period of up to two months. Zilberman Gallery is proud to announce the publication of the “10 Years Zilberman Gallery” book, celebrating our ten years in the Turkish and international contemporary art worlds as we enter our 11th year. Heba Y. Amin participates in the group show “Geographies of Imagination” at SAVVY Contemporary in Berlin running from 13 September until 11 November 2018 and taking place within “Dis-Othering: Beyond Afropolitan and Other Labels”, a collaboration between BOZAR–Centre for Fine Arts (Brussels), Kulturen in Bewegung (Vienna) and SAVVY Contemporary (Berlin) on the deconstruction of ‘othering’ practices in European cultural institutions. Heba Y. Amin’s work “Operation Sunken Sea” was on view at Kunsthalle Bremen from 28 July until 30 September 2018. Walid Siti’s works "Stone Tales" (2018) and "Elusive Mountain" (2018) are featured in the “International Contemporary Art Exhibition: Armenia 2018. 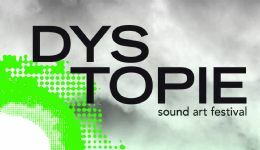 Soundlines of Contemporary Art” (ICAE2018), presenting works of more than seventy international artists at prominent locations throughout Yerevan, such as the Armenian Center for Contemporary Experimental Art, Aram Khachaturian Museum, Cafesjian Center for the Arts, Hay Art Cultural Center, the Artists Union of Armenia, A. Spendiaryan Opera and Ballet National Academic Theater and the Armenian General Benevolent Union. The exhibition takes place on occasion of the hundredth anniversary of the foundation of the Republic of Armenia from 25 September until 25 October 2018. The group show “School Square Galatasaray,” curated by Çelenk Bafra at Pera Museum, explores the multi-layered architectural, art-historical and sociological significance of the Galatasaray High School on the occasion of its 150th anniversary. 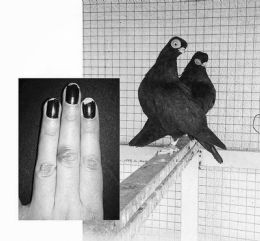 Zeynep Kayan presented her artist book “Untitled” at this year’s Unseen photography festival in Amsterdam. The book is published by Akina Books, the book launch and signing took place on 22 September 2018. Burçak Bingöl participates in the group show “A Future of Travel. The Journey of the Artwork”, running from 9 September until 7 October 2018 and taking place in cooperation with NOKS Independent Art Space (Istanbul) and Corridor Project Space (Amsterdam). Burçak Bingöl, Erinç Seymen, Walid Siti and Eşref Yıldırım participate in the group show “House of Wisdom” taking place at Bonington Gallery in Nottingham from 27 September until 27 October 2018. Simon Wachsmuth participates in the group exhibition “Vorvorgestern (the day before yesterday)”, curated by Franziska Lesàk and taking place at Galerie Raum mit Licht in Vienna from September 14 until October 25, 2018. 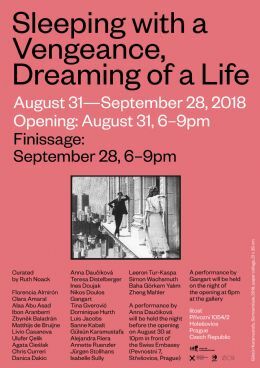 Simon Wachsmuth was part of the group show “Sleeping with a Vengeance, Dreaming of a Life” curated by Ruth Noack and taking place at Lítost Gallery in Prague from August 31 until September 28, 2018. Selçuk Artut’s sound installation “Estranged Music”, featured at the Dystopie sound art festival in Berlin, takes a look at an imaginative future where the creative sources behind musical composition have been taken over by computer systems. With his live coding duo RAW, Selçuk Artut presented a live performance at this year’s Sónar+D in Istanbul. Pedro Gómez-Egaña participated in the lecture series “The Artistic & Curatorial Thing“ taking place at SixtyEight Art Institute between 28–31 August, 2018. Heba Y. Amin participates in the show CrossSections_Intervals, curated by Başak Şenova at Kunsthalle Exnergasse in Vienna, running from 20 September until 20 October 2018. Heba Y. Amin’s multi media installation “The General’s Stork” is featured in the group show “Species of Spaces“ (named after Georges Perec, “Espèces d'espaces”, Paris 1974), curated by Karma Ltd. Extended (Pauline Doutreluingne and Petra Poelzl) and taking place at Acud Galerie in Berlin from 22 September until October 28. The show includes works by Heba Y. Amin, Deniz Gül and Lawrence Abu Hamdan. 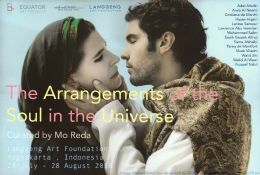 Walid Siti participated in the group show “The Arrangements of the Soul in the Universe”, curated by Mo Reda and taking place at Langgeng Art Foundation in Yogyakarta, Indonesia from 28 July until 28 August 2018. 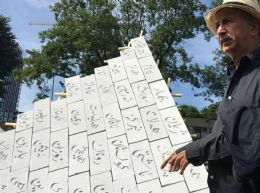 Framer Framed invited Walid Siti, Wafae Ahalouch and Suat Ögüt to create a work in the public space of Amsterdam-Noord for the show “Monuments to the Unsung”. Antonio Cosentino participates in the group exhibition “Large Meadow 2018 Exhibitions” including works by 29 artists and collectives at 14 venues. Zeynep Kayan participated in the fifth edition of NevGeneration: “Monomyth”, taking place at Gallery Nev in Ankara from 25 April until 9 June 2018. This year’s edition focused on photography. Zilberman Gallery-Berlin was pleased to host Eşref Yıldırım at the Zilberman artist residency taking place for a period of two months. Yıldırım shared his experiences during the residency with a video presentation on 4 September 2018. On occasion of Pedro Gómez-Egaña’s catalog launch and solo show at Zilberman Gallery, Berlin, a conversation took place between Natasha Ginwala, curator and writer, and the artist. Memed Erdener will conduct a workshop together with Superpool and European Alternatives in the pavilion of Turkey the 16th International Architecture Exhibition organized by Venice Biennale. Memed Erdener, Venedik Bienali tarafından organize edilen 16. Uluslararası Mimarlık Sergisi Türkiye Pavyonu’nda Superpool & European Alternatives ile beraber Çocukluğun Geleceği isimliatölye çalışmasını gerçekleştirecek. Küratörlüğünü Kerem Piker’in yardımcı küratörlüğünü Cansu Cürgen, Yelta Köm, Nizam Onur Sönmez, Yağız Söylev ve Erdem Tüzün’ün üstlendiği Vardiya / the Shift projesi kapsamında halka açık etkinliklerle dolu bir program yürütülecek. Vardiya, Türkiye Pavyonu’nu salt bir sergi alanı olmanın ötesinde bir buluşma, karşılaşma ve üretim mekanına dönüştürürken, Venedik Mimarlık Bienali’ni de mimarlık öğrencileri için ulaşılabilir kılmayı ve yeni ortaklıklara ve işbirliklerine ön ayak olmayı hedefliyor. 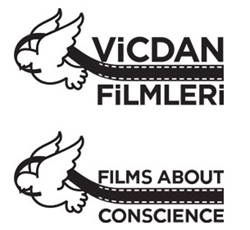 Açık çağrıya “Bienal ne için var?”, “Bienal ne işe yarar?” ve “Bienal kimin için var?” sorularını yanıtlayan kısa videolarla katılan, dünyanın pek çok farklı yerinden beş yüze yakın mimarlık öğrencisi arasından seçilen katılımcılar, ziyaretçileri bienallerin amacı ve rolü hakkında düşünmeye davet ediyor. 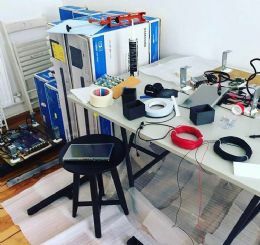 Venedik Mimarlık Bienali’nin bu yılki teması olan Serbestmekân / Freespace kavramını, bir sergi teması olarak ele almak yerine, bu başlığı mekânın kendisine uyarlayan Vardiya, genç mimar adaylarını, yalnızca bienal izleyicileri olmaktan çıkarıp bienalin etkin birer üreticisi haline getiriyor. Pedro Gómez-Egaña’s large-scale performative installation Domain of Things is featured in the group exhibition Anytime Now at TENT Rotterdam. 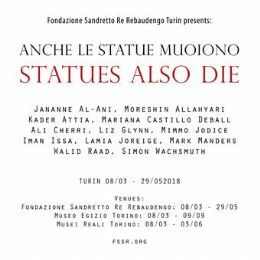 The group exhibition Statues Also Die / Anche le statue muoiono brings together three prestigious museums: the Museo Egizio, the Fondazione Sandretto Re Rebaudengo and the Musei Reali. 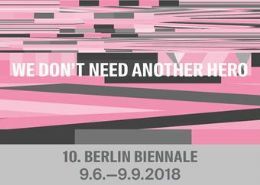 Heba Y. Amin has been selected for the 10th Berlin Biennale opening on June 8, 2018. With her project "I wish I could not be Traced in the Archives", Didem Erk is among five artists selected for the 5x5x5 programme of this year’s Manifesta 12 taking place in Palermo, Sicily between June 16 and November 4, 2018. 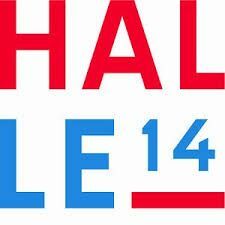 Aisha Khalid participated in the first edition of Lahore Biennale being held from March 18 to March 31. Burçak Bingöl participates in the group exhibition Unleashing organized by Richard Jochum and curated by Livia Alexander and Işın Önol. Burçak Bingöl, Guido Casaretto, Antonio Cosentino and Memed Erdener participated in the exhibition First Round which took place at Galata Greek Primary School, Istanbul from March 6 until May 12, 2018. 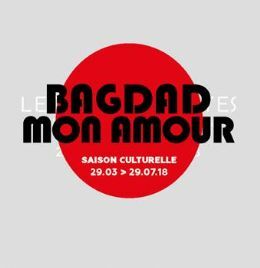 Walid Siti takes part in the group show Bagdad mon amour taking place at the Institut des Cultures d’Islam in Paris between March 29 and July 29. Heba Y. Amin and Alpin Arda Bağcık participate in the group exhibition Motherland in Art curated by Delfina Jałowik, Maria Anna Potocka and Agnieszka Sachar at the Museum of Contemporary Art in Krakow (MOCAK). Heba Y. Amin’s mixed-media installation Operation Sunken Sea is featured in the group exhibition Dal-Baħar Madwarha taking place at St Elmo Examination Centre in Valletta (European Capital of Culture 2018) and other sites in Malta and Gozo. With his three-channel video Master of the Nets (2016), Simon Wachsmuth participates in the group exhibition Mobile Worlds, curated by Roger M. Buergel and taking place in the Museum für Kunst und Gewerbe Hamburg (MKG) from April 13 until October 14, 2018. Simon Wachsmuth’s work O Crudele Spectaculum (Oh, What Cruel Spectacle!, 2018), is part of the group show Warum Kunst? / Why Art? taking place at the Museum Ulm and kunsthalle weishaupt between May 5 and October 7, 2018. Didem Erk participated in the group show Nonlinear Histories: Transgenerational Memory of Trauma, co-curated by Ara and Anahid Oshagan as well as Işın Önol. Antonio Cosentino participates in the group exhibition Sweet Little Lies at Plato Sanat in Istanbul. The New Islamabad International Airport inaugurated on May 1 features large-scale murals by Aisha Khalid and Imran Qureshi. The video Holy Process (2017) by Erinç Seymen and Uğur Engin Deniz was on display at Schwules Museum in Berlin as part of the group show colony. 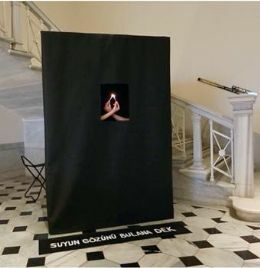 Zeynep Kayan presented her new performance Suyun Gözünü Bulana Dek (Until finding the source of the water) at Salt Galata on March 25, 2018 together with Özgür Atlagan. 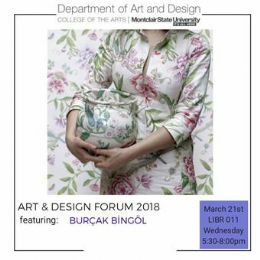 After giving a talk to students from Karatay University’s Visual Communication class in Konya, Turkey on March 13, Burçak Bingöl was invited by Montclair University, USA to give an artist talk as part of the Art & Design Forum speakers’ series on March 21, 2018. As part of the Black Athena Collective, Heba Y. Amin gives the artist talk When Rain Falls on the Mountain of Punt in the FORUM program at 1-54 Contemporary African Art Fair in Marrakesh on February 24, 2018. 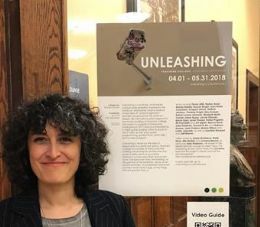 Heba Amin’s lecture performance The General's Stork was commissioned by and featured on Radio Reina Sophia on March 27, 2018. 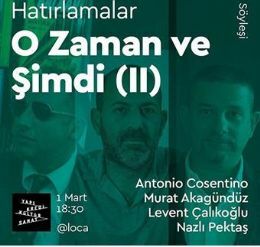 As a founding member of the former Hafriyat Artist Group, Antonio Cosentino took part in the series O Zaman ve Şimdi (II) together with Murat Akagündüz and Levent Çalıkoğlu, director of Istanbul Modern. 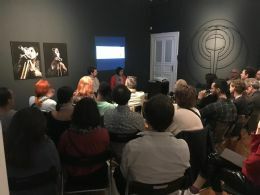 The series was presented by art historian Nazli Pektaş at Yapı Kredi Kültür Sanat Loca on March 1, 2018. Çelenk Bafra, curator and former director of exhibitions & programs at Istanbul Modern, Christoph Tannert, artistic director of Künstlerhaus Bethanien, and the artist Antonio Cosentino held a talk at Zilberman Gallery-Berlin on March 8 on occasion of Cosentino’s solo show Summer was a Beautiful Day (February 9–April 14, 2018). Zilberman Gallery, Berlin is pleased to host Pedro Gómez Egaña at the Zilberman artist residency taking place for a period of two months, beginning from April 2018. 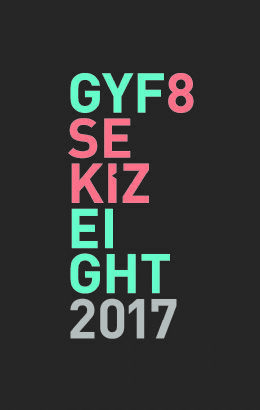 A jury, including Çelenk Bafra as the head, along with Elizabeth Markevitch, Ayşe Umur, Burçak Bingöl and Naz Cuguoğlu, nominated nine artists that will participate in Young Fresh Different 9 on view at Zilberman Gallery, Istanbul between June 23 and July 13, 2018. Guido Casaretto’s “Waterfront IV” (2016) has been included in the permanent collection of Museum of Contemporary Art in Kraków (MOCAK). Heba Y. Amin is nominated for The Art Prize of the Böttcherstrasse (Kunstpreis der Böttcherstraße) by the director of the Kunstverein Museum in Hamburg, Bettina Steinbruegge. 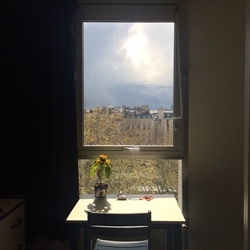 Last November, Heba Y. Amin visited Cosmopolis, a new platform of research-based artistic work that is recently established in the Centre Pompidou and curated by Catherine David. In honor of its 25th anniversary, The National Network of Contemporary Art Centers of France (DCA) organized L’art au Centre event in Palais de Tokyo between 24-26 November 2017. 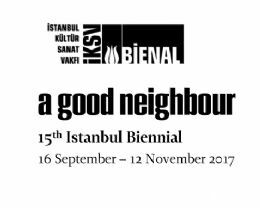 With the cooperation of the Pinakothek der Moderne Museum, the 15th Istanbul Biennial, organized by the Istanbul Foundation for Culture and Arts (IKSV) in last September and titled “A Good Neighbor,” is meeting anew with viewers. Together with Yasemin Özcan and Hera Büyüktaşçıyan, Burçak Bingöl contributed to the “Füreya: Ceramic from a Studio Practice to the Public Space” talk, organized within the framework of the exhibition on November 6, 2017. 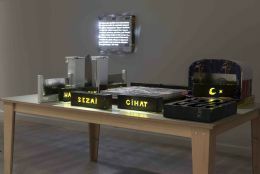 Selçuk Artut’s “Variable,” which brings together artistic statements with artificial intelligence, was featured in the platforms of Creative Applications, Co.Design and Artsy. 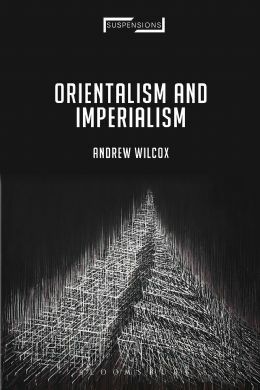 Before Light on the cover image of the book "Orientalism and Imperialism"
“Before Light” (2013) by Walid Siti is chosen as the cover image of the book Orientalism and Imperialismby the Bloomsbury Publishing in London. With his work from the series titled “Star of Syria,” Antonio Cosentino took part in the group show “Home is Where the (He)Art is” at Galerie Paris-Beijing, curated by Yann Perreau and will be open to visit between 1 February-24 March 2018. 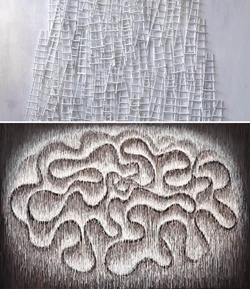 Aicon Gallery in New York is hosting the exhibition, “Interwoven Dialogues: Contemporary Art from Africa and South Asia,” curated by Awam Amkpa. 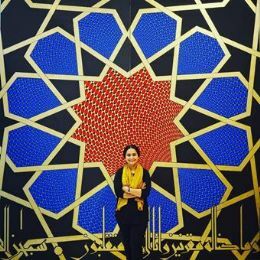 Aisha Khalid is one of the ten contributing artists from Africa and South Asia who work in varying disciplines to push the boundaries of conventional media in the field of art. "Colony" was on view between 23 December 2017-3 February 2018 at Abud Efendi Konağı in Istanbul featuring Erinç Seymen's two video pieces. 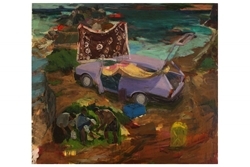 “Lifesaving” by Janet Bellotto, exhibited at Zilberman Gallery in 2016, was on view with new works at Cedar Ridge Gallery, an historic mansion in the Sable Island Scarborough whose construction dates back to 1912. Selçuk Artut and Eşref Yıldırım joined a group exhibition at Macao in Milan, organized between 2-5 December 2017 by Kopuntu, a diasporic collective of Turkey-based artists. Moiz Zilberman and Burçak Bingöl were guest speakers of the Base Talks, a series of talk which was organized in the Galata Greek Primary School on 21-24 December 2017 by BASE, Turkey’s first group exhibition of the recent graduates of Fine Arts Faculties. Memed Erdener takes part in the Bi-City Biennale of Urbanism/Architecture in Shenzhen until 15 March 2018. On the occasion of Memed Erdener’s exhibition "Beauty of Bigotry" and his residency at Zilberman Gallery–Berlin, an exhibition tour and conversation between curator and critic Eva Scharrer, writer and performance artist Göksu Kunak and the artist Memed Erdener took part. A conversation between artist Eşref Yıldırım, Ali Duran Topuz, Sevim Gözay and Dr. Bahar Tezcan about Yıldırım’s recent solo exhibition "Diary of Defeats" took place on February 17, 2018, at Zilberman Gallery, Istanbul. 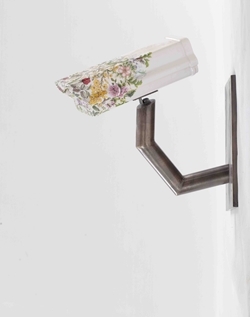 In Alpin Arda Bağcık’s works, the viewer is usually confronted with the effects of power structures on society. 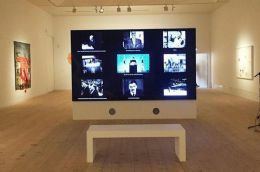 Opened in 2010 in Poland’s oldest and third-largest city of Krakow, Museum of Contemporary Art in Krakow (MOCAK) is exhibiting art of the last 20 years within the context of post-war avant-garde and conceptual art, and is currently hosting an anthology exhibition with works from its collection. 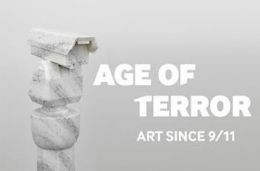 Walid Siti is among the artists shown in the group exhibition entitled “Age of Terror: Art since 9/11” which opened on October 26th at London’s Imperial War Museums (IWM). The 15th Istanbul Biennial, which is currently hosting the works of Heba Y. Amin, Burçak Bingöl, and Pedro Gómez-Egaña runs until the 12th of November! The biennial, organized by the Istanbul Culture and Arts Foundation (İKSV), takes shape under the conceptual framework of “a good neighbor,” and is being curated by the artist and curator duo of Elmgreen & Dragset, who have been working together since 1995. 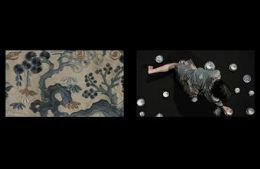 Simon Wachsmuth’s video titled “Qing” (2016) is featured among other artists’ works in the group exhibition “A Thousand Roaring Beasts: Display Devices for a Critical Modernity,” currently on display at the Andalucia Center for Contemporary Art in Sevilla. “Afrotopia”—the 11th photography biennial organized by the Mali Minister of Culture and Institut Français—will host the Black Athena Collective, co-founded by Heba Y. Amin. 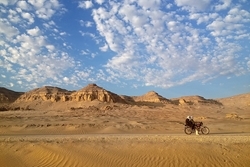 The cognac brand Moët Hennessy, part of the French LVMH group, is celebrating the legendary Silk Road and its local heritage via a journey narrated by seven contemporary artists from seven countries. Memed Erdener’s work “Why Does Tragedy Give Pleasure” was part of the “Design Talks Politics” exhibition held at the Designxport fair and event center in Hamburg. Pedro Gómez-Egaña’s “The Séance of Canis” project was presented at Oslo’s Black Box Theatre on November 3rd from 7PM to 7AM the next day. 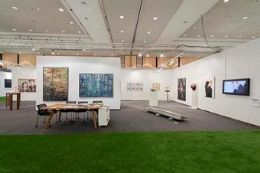 The Art Market Budapest is among the leading international art fairs in Central and Eastern Europe. Its 7th edition was held in the Hungarian capital between October 12-15. Alpin Arda Bağcık’s 2016 work “Pipotiazin” appeared in the 9th edition of Capitel Magazine, a non-profit digital and print magazine published every three months by the Universidad Humanitas Mexico. 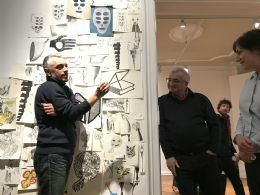 Curated by Collective Çukurcuma founders Mine Kaplangı and Naz Cuguoğlu, the “House of Wisdom” exhibition took place at the IKSV Nejat Eczacıbaşı building as part of the Istanbul Biennial public program until November 12 after being shown in Berlin. The Evliyagil Musem, Ankara’s first private contemporary art museum, is hosting its first comprehensive exhibition following its opening exhibition. 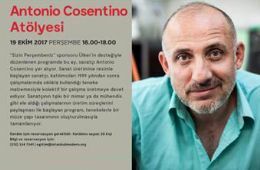 Within the scope of the Ülker-sponsored Istanbul Modern program “Your Thursday,” held on October 19, Antonio Cosentino led a workshop between 4-6 PM. 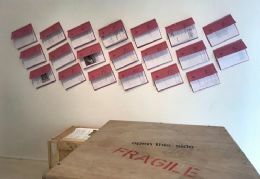 Curated by Naz Cugoğlu and Serhat Cacekli of Collective Çukurcuma alongside Russia-based Nikolay Alutin, the “Survival Kit” exhibition was held at Karaköy’s independent art venue Space Debris between September 8-October 7. The “Future Tellers” group exhibition displayed contributions of 12 artists creating works from different disciplines at the Zorlu Performance Arts Center between September 13-30. In his artistic practice, Pedro Gómez-Egaña creates sculptures, 3D installations, phonographic works, and films, and also uses mediums such as performance, text and voice. With works from Heba Y. Amin, Guido Casaretto, Walid Siti and Simon Wachsmuth, Zilberman Gallery joined the Art Düsseldorf art fair held at Areal Böhler in Düsseldorf between November 17-19. With works from Ahmet Elhan, Alpin Arda Bağcık, Guido Casaretto, Erinç Seymen and Şükran Moral, Zilberman Gallery joined the viennacontemporary art fair held at Marx Halle in Vienna between September 21-24. With a solo presentation of works by Azade Köker, Zilberman Gallery joined the Art Berlin art fair at Station Berlin between September 14-17. With a vast anthology of works from its represented artists, Zilberman Gallery joined the Contemporary Istanbul art fair between September 14-17. 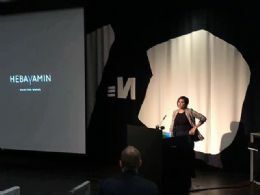 With her talk entitled "Subverting the Media as Artistic Practice," Amin was also a guest of "Fill in the Blanks III," which is an open platform where discussions on space, history and knowledge take place. 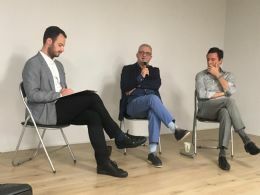 Held at foundationClass Berlin on June 12, the talk was based on the questions "Is artivism worth pursuing as a mechanism, or is it just a tool that uses media to heighten the public’s consciousness?" "Should we be seeking a ‘revolutionary’ aesthetic?" The show "Find Me," curated by Merih Akoğul and including works by Şükran Moral and Ahmet Elhan, was opened at Akbank Sanat on June 6 and was on view until July 29. It focused on how artists with different photographic tendencies and approaches deal with their inner worlds by pointing their cameras at their own bodies and faces. It pointed out how these artists interrogate their world views and perceptions with regard to philosophy, psychology, sociology, and art and then interpret their findings through photography. The fourth resident artist at Zilberman Gallery’s artist-in-residence program in Berlin was Walid Siti. The artist continued his works in Berlin between July 6–31, 2017. 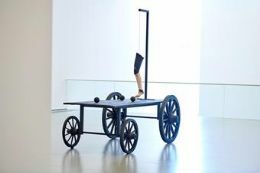 Aisha Khalid, together with art critic Hili Perlson and Timo Kaabi-Linke, held a talk about her show "I AM AND I AM NOT" at Zilberman Gallery–Berlin on June 29. She talked about the creation process of the works at the show. 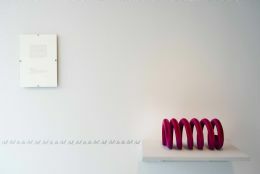 Burçak Bingöl's "Mini Reform" was presented at the Embassy of Sweden in May as part of the "Tiny Office Art" project realized by Suzi Erşahin, the cultural attachée for Sweden. The project is based on the idea of presenting works of female artists living in Turkey. On the third week of each month, a new artist is invited to show a single work. Inspired by the women's protest of 21 January 2017 and the "Tiny Desk Concerts," which first began at the office of Bob Boilen at the National Public Radio in 2015, the project previously showed works by Gülsün Karamustafa and Gözde İlkin. The goal of the event is to start an intimate conversation about notable female artists from Turkey and to inspire other projects. 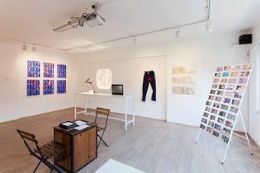 Works by Burçak Bingöl, Erinç Seymen, Eşref Yıldırım and Walid Siti were presented at the show "House of Wisdom" curated by Naz Cuguoğlu and Mine Kaplangı (Collective Çukurcuma). 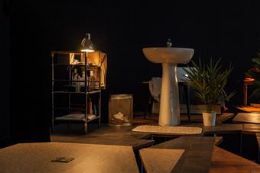 The show, which took place at the project space Dzialdov in Berlin between 30 April and 4 June, was based on the "House of Wisdom" which was a research center founded in Baghdad at the beginning of the 8th century. Focusing on fundamental issues such as censorship, manipulation of knowledge, destruction of libraries and books, the works formed a library in Berlin as a space for research, discussion and sharing. Some of the other artists in the show were Yael Bartana, Lawrence Abu Hamdan, Yazan Khalili, Fehras Publishing Practices, and Ala Younis. 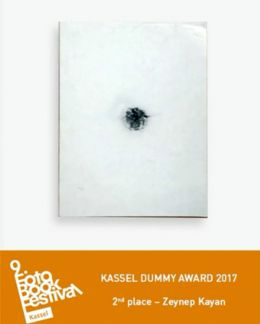 We are happy to announce that Zeynep Kayan won the second prize at the Kassel Dummy Award 2017. 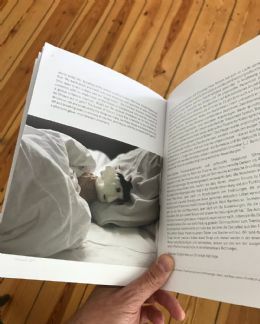 Upon the invitation of "Fotobook Festival Kassel," 49 photographers have presented their as-yet-unpublished photo books. 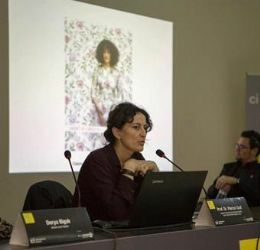 At the event, whose jury included Federica Chiocchetti (Photocaptionist.com, London), Martin Parr (Magnumphotos, Bristol), and Markus Schaden (The Photobookmuseum, Cologne), Zeynep Kayan's book was one of the three finalists that were awarded. Kayan also participated in the six-part program held in parallel with the "Out of the Archive" presentation organized by GAPO (Geniş Açı Proje Ofisi). 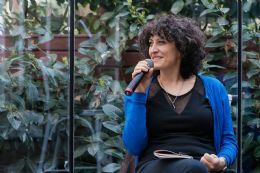 At the event, which took place on May 27 at SALT Ulus, Kayan talked about the theoretical and practical aspects of working with found imagery and presented examples from her work. This talk was part of the photography workshop "Photography Without Shooting," a collaboration project by GAPO and SALT, which has been going on for three years. Simon Wachsmuth presented his installation "Pax Optima Rerum" at Marta Herford Museum. Wachsmuth, who was awarded a Marta Prize, focuses on the Thirty Year’s War and its after-effects on Central Europe by making use of the materials he collected from the city and the region of Herford during his research. 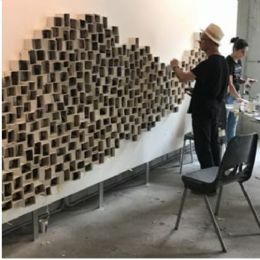 Presented at the Marta Lobby between May 17 and June 21, the work questioned how documents, monuments and images as materialized memories can form our cultural memory and understanding of history. Awarded by the Wemhöner Foundation, the Marta Prize commissions with 25,000 Euros the creation of artworks that are to become a part of the Marta Collection. The seven-person jury includes Heiner Wemhöner, Annabelle Countess of Oeynhausen-Sierstorpff, and Dr. Hannes Frank. 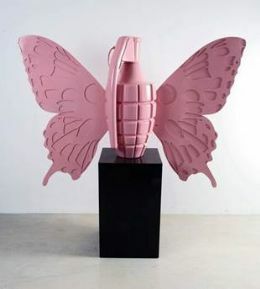 Şükran Moral took part in the show "Sublime Power" held at Charim Galerie in Vienna between the May 16 and July 28. Other artists at the show were Dorothee Golz, Dorit Margreiter, Elisabeth Penker and Lisl Ponger. 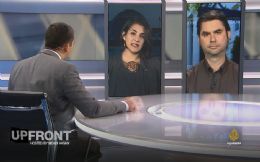 Emphasizing that violence is everywhere, the show focused on how people behave under the influence of shocking images and, using the concept of "symbolic power," points out how violence is manipulated by authorities. Janet Bellotto participated in the symposium "An Ocean Archive" held as part of the organization "My Art Guides: Venice Meeting Point". The symposium took place at Navy's Officer Club in Venice on May 12. Established to encourage international dialogue in contemporary art with the goal of fostering collaboration opportunities between visual artists, art organizations and the international arts community, this four-day event was accompanied by talks, presentations, debates, screenings, dinners, and cocktails. 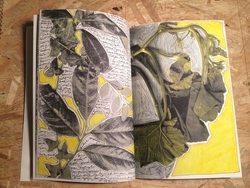 Bellotto also took part in the group show "Postcard" held at the Harbourfront Center in Canada. 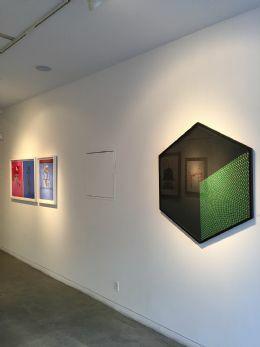 The show, which can be seen between June 23 and September 17, was curated by Patrick Macaulay and challenges the transient nature of travel imagery. Other artists are: Darren Rigo, Yvonne Lammerich, and Andrew McGill. The works at the show focus on the fact that a contemporary reading of a location is not merely the capturing of place, but the creation of works that convey a close comprehension of locale. Memed Erdener's (a.k.a. Extrastruggle) drawing "Babalar (Fathers)" (2016) was on display at Oratorio di San Mercurio di Palermo, an independent art space in Palermo. 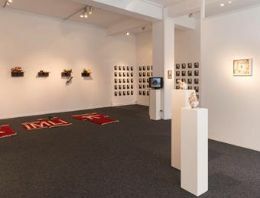 Curated by Adalbero Abbate, the show was on view between June 30 and July 24. 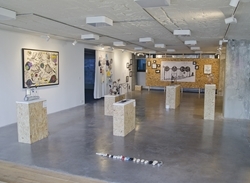 Held in Osnabrück, the twin city of Çanakkale, the show "Çanakkale Art Walk" included works by Burçak Bingöl and Ahmet Elhan. Curated by Christian Oxenius and based on the concept of "Homeland", the show brought together works of 40 artists from 17 countries. 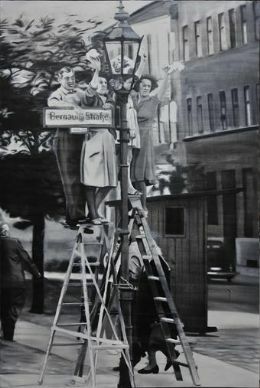 Opened on June 6, the show was on view until August 8 in various spaces in Osnabrück: Kunsthalle Osnabrück, Felix-Nussbaum-Haus/Kulturgeschichtliches Museum (Villa Schlikker), Kunstquartier des BBK, Gesellschaft für Zeitgenössische Kunst Osnabrück e.V. – Hase 29. 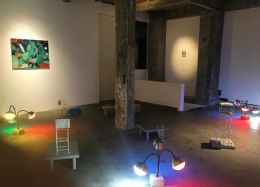 In addition to Bingöl and Elhan, works by Halil Altındere, Hera Büyüktaşçıyan, Aikaterini Gegisian, Ghazel, and Jun’ichiro Ishi were also included in the show. Antonio Cosentino took part in the panel "Art as alternative archive: a roundtable on the role of contemporary art and theatre in the urban context," which took place at NIT (Netherlands Institute Turkey) Istanbul on April 26. The roundtable aimed to discuss the role and function of urban-based contemporary art and theater practices as alternative urban archives and invite participants to see the relationships between art, memory, and space in a new light. Cosentino was accompanied by playwright Ahmet Sami Özbudak, art historian Ayşe Erek, and researcher Esra Almas. Meanwhile, Cosentino was the third artist after Alpin Arda Bağcık and Zeynep Kayan to be invited to Zilberman Gallery's artist-in-residence program in Berlin. The artist presented his new works and talked about his experiences in Berlin at the event "Open Studio: Antonio Cosentino" between June 28 and 30. We are proud to announce that Walid Siti has won the Sharjah Biennial prize together with three other artists. Sharjah Art Foundation announced the 2017 Sharjah Biennial Prize recipients on March 10, during the opening night of Sharjah Biennial 13: Tamawuj. The recipients of this years prize were Walid Siti, İnci Eviner, Uriel Orlow, and Dineo Seshee Bopape. Walid Siti also presented his solo exhibition at Art Basel Hong Kong as well as his latest solo show, The Black Tower, at Zilberman Gallery in Berlin between January 14 and February 25. 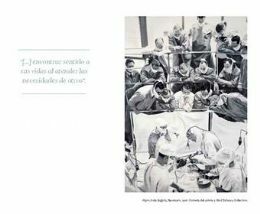 The conversation between Walid Siti and Nat Mullerthe curator and editor of the extensive catalog accompanying the exhibitionwas published on ibraaz.org. As part of Transmediale—a Berlin-based festival and year-round project that draws out new connections between art, culture, and technology—Heba Y. Amin participated in Mediterranean Tomorrows on February 5, 2017. The panel uses the Mediterranean region as its starting point and challenges prevailing scenarios designed for its future, asking questions such as, "Which futures can be [re]imagined for a region affected by ongoing financial crisis, mass-movement of the population, and climate change? ", "Can speculative approaches to these future scenarios assist in understanding the formation of new political and environmental ecologies?" 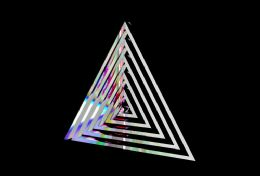 Transmediale continued until March 5. Amin also participated in the group exhibition Deep Memory which investigates the dilemma between the representation of African culture in the European public spheres and the representation of Europe on the African continent, curated by Joanna Sandell and Breeze Yoko. Featuring artists from different countries, including Malala Andrialavidrazana, Buntu Fihla and Mats Hjelm, the exhibition can be visited at Kalmar Konstmuseum in Sweden until August 27. 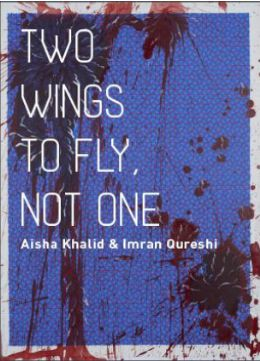 The duo exhibition by Aisha Khalid & Imran Qureshi titled Two Wings To Fly, Not One, inspired by a line from Jalaluddin Rumi opened on April 15. 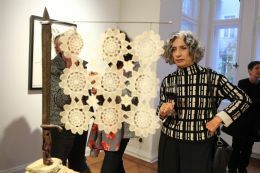 The exhibition, curated by Zahra Khan and hosted by The Pakistan National Council of the Arts, celebrates the 70th anniversary of Pakistan's independence while emphasizing a multi-faceted view of the country. The exhibition invites visitors to explore many different topics related to the country, such as its dynamic contemporary culture and socio-economic struggles. It can be seen in Islamabad until May 31. Zilberman Gallery attends the 2017 edition of Art Brussels with 5 represented artists. The gallery presents a group exhibition with the selected works from Alpin Arda Bağcık, Antonio Cosentino, Burçak Bingöl, Erinç Seymen, and Walid Siti at booth C-24. The event, which began at Tour & Taxis of Brussels on April 20, is open to visitors until Sunday, April 23. Janet Bellotto participates in exhibition The Art of Nature, hosted in Umm Al Emarat Park. Marking the 20th anniversary of the Environment Agency Abu Dhabi and celebrating the Emirate’s natural abundance, the exhibition takes place between March 23 and April 23. 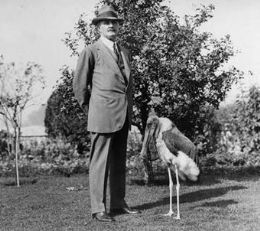 This exhibition provides visitors with the opportunity to encounter diverse environments and reflect on the exceptional species and habitats unique to the UAE. 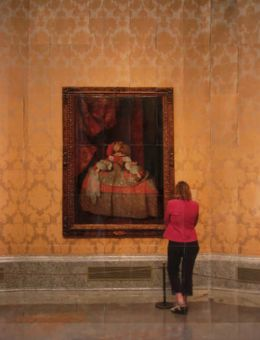 In the exhibition, which is accompanied by a broad educational program allowing aspiring artists of all ages to engage with the nation’s flora, fauna and landscapes, Bellotto exhibits her newly commissioned work titled Edge of the Meadow: Lady of the Sea. Guido Casaretto’s work “Michael-4/ Roman Centurion texture David-3 / Street Vendor2 texture” (2015) has been acquired by Museum of Contemporary Art in Kraków, Poland. The article by Nina Prader on Simon Wachsmuth's recent exhibition Some Descriptive Acts, which took place at Zilberman Gallery Berlin between March 4 and April 20, is published on Berlin Art Link. 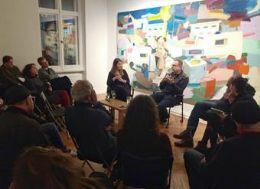 Moreover, as a part of Wachsmuth’s latest solo exhibition Some Descriptive Acts, a talk between Zasha Colah and Simon Wachsmuth took place at Zilberman Gallery Berlin on March 31. The conversation covered questions regarding the story behind the exhibition Some Descriptive Acts and Simon Wachsmuth’s artistic practice. The exhibition continued until the April 20. Zeynep Kayan was the second artist of the artist residency program that the gallery runs for its artists to live and work in Berlin. Kayan held a screening event of the new video that she produced during her residency, titled studies for staying in the middle / or changing quickly from one state to another at Zilberman Gallery Berlin on April 13. In order to support and create visibility for young artists, Zilberman Gallery has been organizing the exhibition Young | Fresh | Different as the last exhibition of the season every year. The application process began on Friday, April 7th. Deadline for applications is May 26th, 2017. 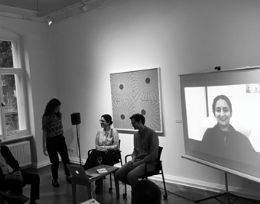 A conversation between artist Burçak Bingöl and curator Işın Önol about Bingöl’s recent exhibition Mythos and Utopia took place on April 1, 2017 at Zilberman Gallery Istanbul. 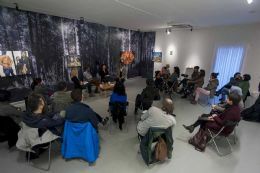 The conversation covered topics such as the production process and the conceptual framework of the exhibition, and the artistic practice of Bingöl. 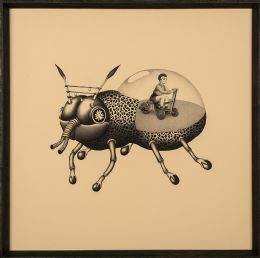 Mythos and Utopia can be visited at Zilberman Gallery Istanbul until April 29. The opening of Erinç Seymen’s exhibition Go Back To The Very Beginning took place on April 8, 2017 at Galata Greek Primary School 4th Floor / Open School Library. The exhibition, which can be visited until May 13, aims to discuss the transformation of artisanship and professional craftsmanship attributed to minority identities, both as a functional medium of survival and an indicator schematizing societies. The professional skills have an affirmative emphasis and sometimes appear as titles for individuals or become their surnames. The installation which consists of one painting and one sculpture, invites viewers to reflect not only on this aspect but also on the standardizing and nostalgic effect that these skills used to exert on societies. Ahmet Elhan took part in a conversation about today’s photography with Murat Germen, moderated by Levent Çalıkoğlu at Istanbul Modern Museum on April 15. 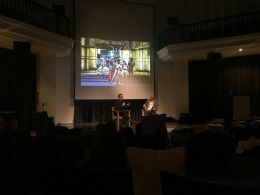 The talk, organized especially for the Museum’s Gold and Silver members, focused on various possibilities in post-production and the consequential shift in artistic expression. Also, a talk between Ahmet Elhan and Tony Ventura, moderated by Billur Tansel, took place at Open Dialogue Istanbul on March 25. During the event entitled Black & White of Passion, collector Tony Ventura and photographer Ahmet Elhan went into details of the art of photography. During the event, 10 artworks from Tony Ventura’s collection were exhibited as well. Azade Köker’s work Prado Museum is included in the exhibition In Medias Res at the Mytilene Municipality Art Gallery, also known as the Halim Bey Mansion of Lesbos. 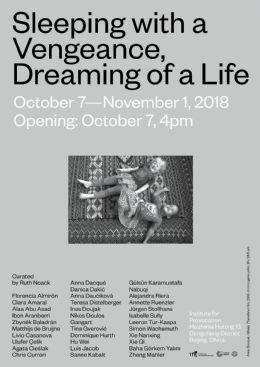 Curated by Başak Şenova, the exhibition includes works by Cindy Sherman, Bedri Baykam, Ferhat Özgür, Gilbert & George, Hale Tenger, Tracey Emin, Burak Delier, Gülsün Karamustafa, Rebecca Horn, and Hera Büyüktaşçıyan, and many others, selected from the Elgiz Collection. The exhibition is on view until November 18. Şükran Moral participates in the ArtVerona | Art Project fair’s 12th edition, October 14-17, with her Bordello. Organized by Veronafiere since 2014, the fair builds a relationship between modern and contemporary art. 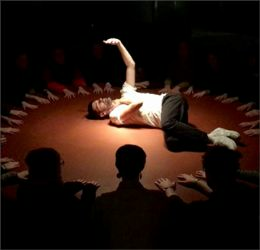 Moral’s work is a performance/video from 1997, in which the artist performed in a brothel in Karaköy’s Zürafa Street. Selçuk Artut participated in the conference Functional Art, Music, Modeling, and Design, realized in Nara, Japan. 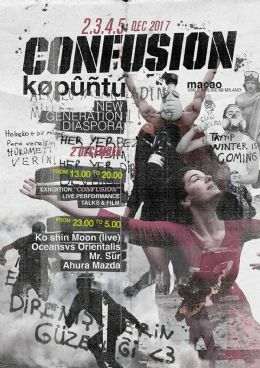 Within this framework, the RAW group, founded by the artist and Alp Tuğan, performed in Nara on September 24, and with Jun Kawasaki in Tokyo on September 27. Ahmet Elhan’s works are included in the exhibition Blurry but Clear at the Ariel Art Gallery. 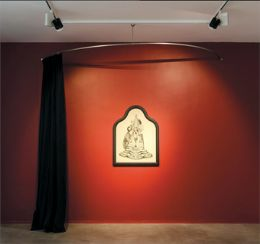 Prepared by Ayşe Orhun Gültekin and Derya Yıldız, Ahmet Elhan’s works are included alongside works by Ayşe Erkmen and Karin Sander. The exhibition, based on the question, "How much can we rely on the memory of the eye? ", is on view until October 29. Burçak Bingöl’s Lel le-le lel lel is included in the exhibition, curated by Selen Sarıoğlu, O Zaman Renk! at artnivo.com Project Space. The name of the exhibition is from a caricature by Yiğit Özgür, inviting viewers to escape into the space of the imagination from the tensions of daily life. The exhibition is on view until November 11, hosting works by Selin Balcı, Basako, Zeynep Beler, Elif Boyner, Ahmet Civelek, Sibel Diker, Alican Leblebici, Lara Ögel, Ardan Özmenoğlu, Nejat Satı and Güneş Terkol. Antonio Cosentino’s Tofaş’s Adventures I and Memed Erdener’s Square Man are included in the exhibition What is this place? at Kare Art Gallery. The exhibition brings together works from various areas that question new local and universal changes in society, politics and culture. Offering their own perspectives in this new and chaotic cultural atmosphere, the artists contribute to a pluralist freedom of expression. Arda Diben, Arzu Eş, Barış Sarıbaş, Erdoğan Zümrütoğlu, Fatih Gürbüz, Güneş Terkol, Mehmet Öğüt, Mehwish Iqbal, and Monika Bulanda’s works are on view until November 12. 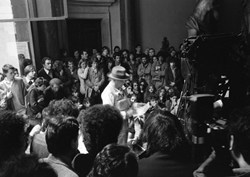 Memed Erdener participated in the event Resistance in Contemporary Art Practices at ATÖLYE. The one-day program was curated by Creative Çukurcuma with the participation of Culture of Resistance and Hasan Özgür Top, including film screenings, artist presentations and a talk. The day was organized around questions of, what is the role of the artist in resistance? Should they feel the pressure of this responsibility? How could the issue of resistance find a place in artistic practices? Azade Köker’s Everywhere, Nowhere is on view at the main space of Zilberman Gallery Istanbul in Misir Apartmani until November 12. The artist deconstructs the perfection and legibility of the image through surface layering and reprocessing, interpreting the possibilities of painting. The artist’s new exhibition,Everywhere, Nowhere focuses on boundaries that become increasingly blurry and meaningless, people’s voluntary and involuntary movements under today’s socio-political conditions and the consequences of this situation. The Red Gaze opened at Zilberman Gallery Berlin on October 8. The exhibition presents a constellation of objects in four chapters on the theme of ‘the witness,’ curated by A. S. Bruckstein Çoruh. 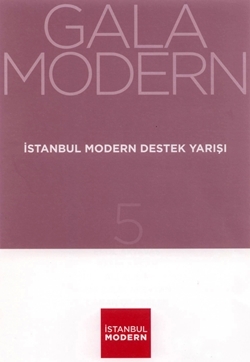 Including works by Ahmet Elhan, Memed Erdener a.k.a Extramücadele, Erdem Gündüz (text), Ali Kaaf, Navid Kermani (text), Aisha Khalid, Şükran Moral, Erkan Özgen, Pablo Picasso (text), Imran Qureshi, Rebecca Raue, Sarkis, Arnold Schoenberg, Eşref Yıldırım, the exhibition is on view in Berlin until December 23. Zilberman Gallery participated in ViennaContemporary, September 22-25, with a selection of works by Alpin Arda Bağcık, Antonio Cosentino, Ahmet Elhan, Eşref Yıldırım, Guido Casaretto and Walid Siti. 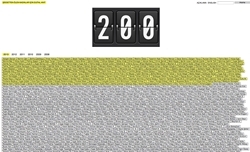 Zilberman Gallery is happy to announce the release of the new Zilberman Almanac, covering all the exhibitions, events, and projects hosted and supported by Zilberman Gallery in the season 2015-2016. 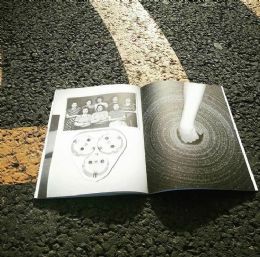 The almanac includes information on the previous season of the gallery and is published annually. It can be found in the gallery’s Istanbul and Berlin spaces, distributed for free. 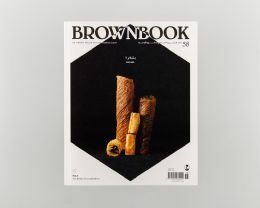 BROWNBOOK, an urban guide to the Middle East and North Africa, is a magazine that published for over a decade. It is available for sale at the Zilberman Gallery. 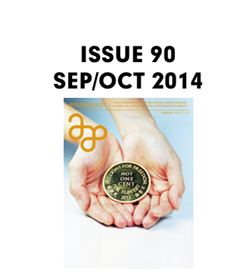 The bimonthly magazine can be purchased from the gallery for 30 TL. Zilberman Gallery participated in Art Brussels, between April 22-24, with a selection of works by Burçak Bingöl, Extrastruggle, Aisha Khalid, Azade Köker, Imran Qureshi and Walid Siti. An exhibition to financially support a primary school that would open at the beginning of the school year 2016-2017 took place at The Sofa Hotel on May 12-13, organized by Contemporary Istanbul and Aralık Association. The project aims to ensure that children from Kilis and Syria will be able to continue their education uninterrupted. 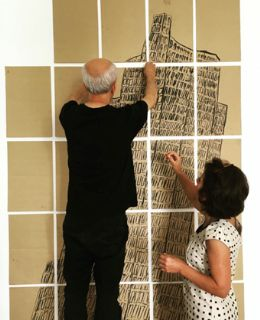 To financially support the project, 62 artists exhibited, including Ahmet Elhan, Azade Köker, Burçak Bingöl, Guido Casaretto and Şükran Moral. 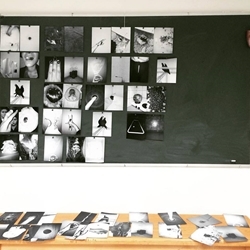 Zeynep Kayan participated in the third of the photobook atelier series realized at FUAM (Photographic Application and Research Center) at Mimar Sinan Fine Arts University’s Findikli campus. Realized between March 6-12, the atelier was titledFrom the Work to the Correct Book, led by Matthieu Charon and Remi Faucheux from RVB Books. 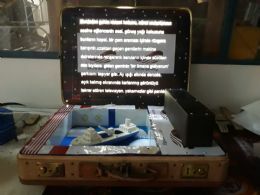 Eşref Yıldırıms interactive work, Babel Tweetrary, was exhibited as part of the April exhibition of Proto5533, which took place at 5533 and Recai Mehmet Efendi Library. 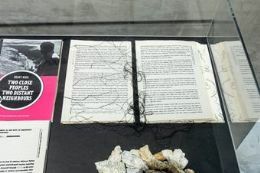 Curated by Naz Cuguoğlu, the exhibition was based on the story titledLibrary of Babel by Jorge Luis Borges, questioning notions of informational chaos, control mechanisms and the essence of information through digital and non-digital libraries. The exhibition was on view from April 2nd to 23rd, also including works by Ekin Bernay, Jorge Mendez Blake, Meriç Algün Ringborg and Sultan Burcu Demir. Burçak Bingöl’s work Broken-City is exhibited at the group exhibition Printed’16, an exhibition at Mixer presenting works in editions of local and international artists including Takashi Murakami and Marc Quinn. 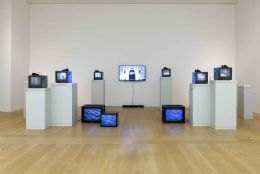 The exhibition brings together 31 artists’ limited edition works accessible by the wider audience while preserving the uniqueness of the art object. Printed’16 will be on view until June 18th. Burçak Bingöl participated in the symposium Ceramics Today and Yesterday at Pera Museum with an artist’s talk titled Ceramics: To Make or Not To Make. 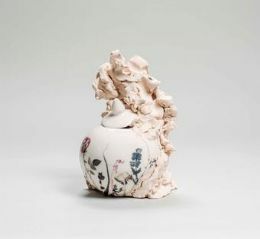 The symposium took place on March 12 and dealt with the different ways in which ceramics were produced over the course of history. The second part of the symposium was dedicated to discussing the relationship between ceramics and contemporary art, talking about how the tradition of ceramics influenced contemporary art. 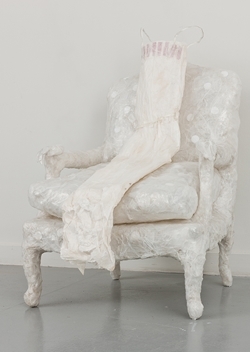 Burçak Bingöl participated in the group exhibition Nature Morte with her workTemporary Permeable. She attended the exhibition tour and talk on March 17th, which was part of the exhibition. Together with Elif Boyner, Melike Kılıç, and Plato Sanat’s curator Marcus Graf, the discussion was based on the possible new meanings of the “nature morte” today. Heba Y. Amin’s work The Earth is an Imperfect Ellipsoid was on view at the Marrakech Biennale, titled Not New Now, between February 24 and May 8, as part of the parallel projects. 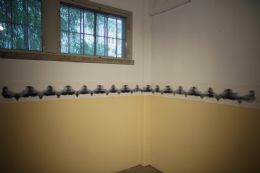 Curated by Reem Fadda and Ilaria Conti, the artist’s work was exhibited at L’Blassa in Gueliz. 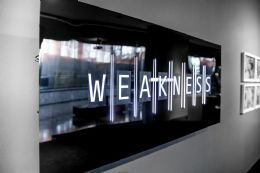 Heba Y. Amin’s video installation Speak2Tweet was exhibited at Kunstverein in Hamburg. The group exhibition Fluidity curated by Bettina Steinbrügge (Kunstverein in Hamburg), Nina Möntmann (Royal Institute of Art, Stockholm) and Vanessa Joan Müller (Kunsthalle Vienna) was on view between January 30 and April 10. Heba Y. Amin’s project Speak2Tweet is on view at the 12th edition of the Dakar Biennial, DAK’ART 2016. The artistic director of the biennial, titled The City in the Blue Daylight, is Simon Njami, borrowing the title from a poem by Leopold Sedar Senghor. The biennial is on view until June 2nd. Walid Siti participates in the group exhibition Restrictions of the Earth, curated by Barış Seyitvan and Ezgi Bakçay. The exhibition is at Hinterland Gallery, focusing on the themes of war, migration and memory. The exhibition that brings 11 artists together will be on view until June 25th. Şükran Moral’s works are on view at the MNAC – The National Museum of Contemporary Art in Bucharest until October 9th. As part of the Shape of Time – Future of Nostalgia exhibition, a selection from the Deutsche Telekom collection will be on view at a prestigious Eastern European Museum for the first time. The exhibition brings together socio-political works from the post-communism era. The exhibition is curated by Adriana Oprea (MNAC), Nathalie Hoyos and Rainald Schumacher (Art Collection Telekom). The artist was also included on the list of contemporary watercolor artists to follow, collated by Angie Kordic for Widewalls. 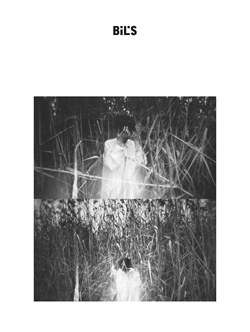 Burçak Bingöl is selected to be the current resident of Cite Internationale des Arts in Paris from April to June. The artist residency program was initiated by Çelenk Bafra and Banu Dicle on behalf of the project partner Simit Association in 2009 and is run by IKSV (İstanbul Culture and Art Foundation). 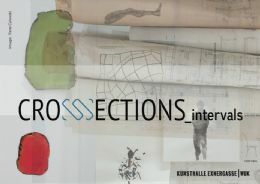 IKSV selects the artists with a jury consisted of art professionals through open calls. Zilberman Gallery is pleased to announce the opening of its new gallery and artist studio in Berlin that is located on an early 20th century building in the Charlottenburg neighbourhood. 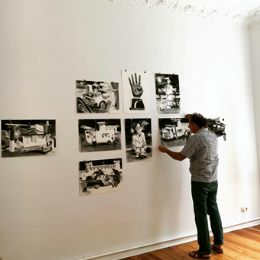 The gallery is expanding the activities to Berlin with its exhibitions and projects that is already taking place in both in the main gallery and the project space in İstanbul's Mısır Apartmanı. With its new artist residency program, Zilberman Gallery will also offer the opportunity for the artists to live and work in Berlin. Zilberman Gallery opened with it's first exhibition, Ultrahabitat, featuring works by Heba Amin, Burçak Bingöl, Azade Köker, Şükran Moral, Imran Qureshi and Walid Siti, on the occasion of Gallery Weekend on April 28. The exhibition is on view until July 30th. Exhibist is a magazine sold in Istanbul, as well as various cities in Europe and the United State, and features information, news and articles on artists, art professionals and galleries from Turkey. 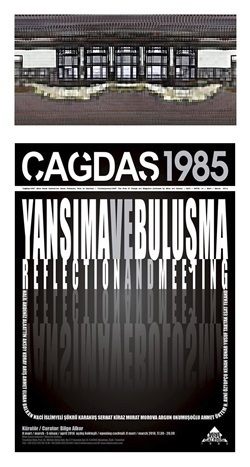 Published quarterly in English, Exhibist's current issue and back issues are now available at Galeri Zilberman. Galeri Zilberman will attend the Art Dubai fair between March 16-19, 2016 with selected works by artists Alpin Arda Bağcık, Extrastruggle and Walid Siti. During the Art Dubai film program organised in conjunction with the fair, Heba Y. Amin's video work As Birds Flying will be shown at the Global Art Forum tent on Fort Island on March 19, 2016. The booth of Galeri Zilberman at VOLTA NY featured a solo presentation of Guido Casaretto's most recent works. Amanda Coulson is the art director for this event, which hosted galleries by invitation only. 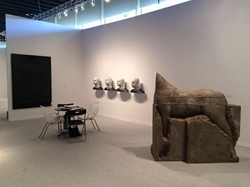 Concurrently running with The Armory Show, in March 2-6, the fair took place at Pier 90 . The launch of the book published on the occasion of Ahmet Elhan's most recent exhibition Ground Glass took place on February 6, 2016 at Galeri Zilberman's main gallery with the participation of the artist and the book's editor, Başak Şenova. The publication features texts discussing the various ontological, historical and philosophical dimensions of the photographic image, written by Maria Lantz, Bassam El Baroni and Başak Şenova. 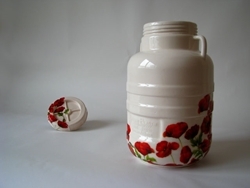 as well as photographs from the Ground Glass series, can be obtained from the gallery. Walid Siti's work titled Crossing was featured in the group exhibition Restrictions of the Earth from February 11-28, 2016, at Karşı Sanat Çalışmaları. Curated by Ezgi Bakçay and Barış Seyitvan, the exhibition brought together works of twelve artists, who all live and work in different parts of the world, while analyzing the effects of compulsory mobility between different spaces and cultures on people's lives. 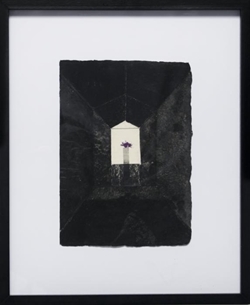 Burçak Bingöl's work titled Temporary Permeable is on view at Plato Sanat's group exhibition Nature Morte. 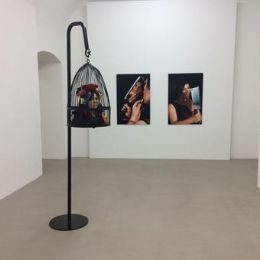 Curated by Marcus Graf, the exhibition features Bingöl' s work, along with Elif Boyner, Serkan Demir, İsmet Doğan, Orhun Erdenli, Melike Kılıç, Komet, Ilgın Seymen and Ekrem Yalçındağ. The exhibition runs the gamut of still life painting in contemporary art, and is on view through, April 3, 2016. 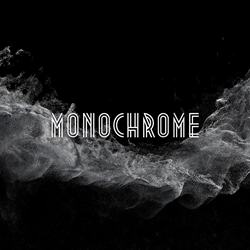 Selçuk Artut's interactive installation Blackout was featured at Akbank Sanat's group exhibition Monochrome between December 16-February 13, 2016. Curated by Ceren and Irmak Arkman, the exhibition focused on the state of digital art and featured artists from Turkey, as well as the rest of the world. As part of the exhibition, Selçuk Artut and Alp Tuğan's band Raw gave a performance on February 9, 2016. Using idiosyncratic methods, Raw programmed raw material of sounds and images, used simultaneously, and turned them into a live performance. 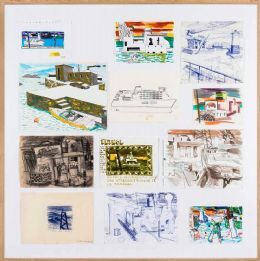 Antonio Cosentino’s paintings and photographs are part of the group show Arbeitswelt und Industrialisierung Anatoliens aus der Sicht junger Künstler (Work environments and industrialization in Anatolia from the yerspective of young artists) at Porzellanikon - Staatliches Museum für Porzellan, Selb, Germany, through May 22, 2016. Also, two works by Cosentino are part of an exhibition titled Masturbation, which runs through March 26, 2016 at Mixer. Organised by Mustafa Horasan, the exhibition features a diverse group of artists from various disciplines. The exhibition transforms the individual act of masturbation into a collective one by comparing the first meaning of the word “masturbation” with the pleasure the artists take whilst creating their works. Artist’s light box works TCDD, Night Lights and At Ease! Attention are part of the March exhibition at Tasarım Bakkalı, an interdisciplinary platform for artists and designers to showcase their works. The duo exhibition also features works by Gümüş Özdeş’s, and is on view through March 31, 2016. 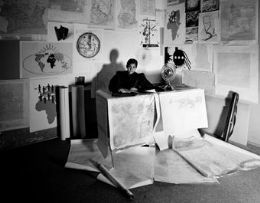 Galeri Zilberman is pleased to announce the representation of artist and researcher Heba Y. Amin. 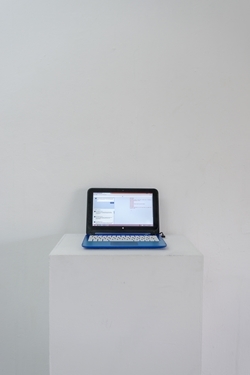 Amin’s projects are research-based investigations, addressing themes related to urbanism and technology. Recently she has come to the fore with her tactical media work, using graffiti in collaboration with “Arabian Street Artists" on the popular TV show “Homeland”. 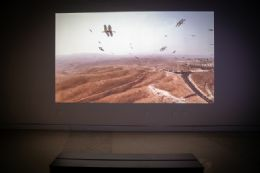 Amin's video work As Birds Flying was shown at the Berlin International Film Festival Berlinale (February 11-21, 2016), where the artist also gave a speech. She also took part in the new media event Transmediale - Conversation Piece. Amin also attended a research workshop, titled After Tahrir: Egyptian Revolutionary Experiences and Future Visions, from January 22-26, 2016, at University of California, Santa Barbara. The conference took place following presentations of short films, new media projects and video installations, which, along with Amin, was attended by film producer Omar Robert Hamilton and curator Sarah Rifky. Galeri Zilberman is pleased to present Zilberman Almanac, which comprises the exhibitions, events and projects hosted by the gallery during the busy 2014-2015 season. 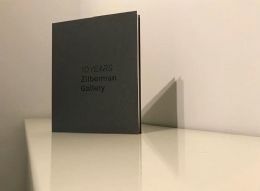 The almanac, which will feature everything about the previous season at the gallery, will from now on be published yearly and can be obtained from Galeri Zilberman's Mısır Apartmanı spaces on the 2nd and 3rd floor of the building. Galeri Zilberman attended the 10th edition of the Contemporary Istanbul Art Fair, attended by 86,000 art lovers, with selected works from 16 of its artists. The fair was held at Lütfi Kırdar Convention Centre between the 12th and the 15th of November. 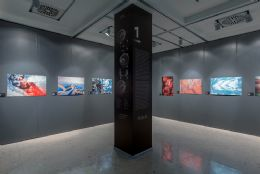 Selçuk Artut's new works were exhibited at Contemporary Istanbul's Plugin New Media Section, curated by Ebru Yetişkin and focussing on the interaction between science, art and technology. Artut's kinetic multimedia installation titled Sonsuza Gerçek (Forever Real) focussed on man's relationship with electricity. 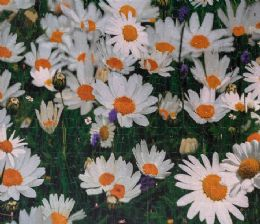 Galeri Zilberman was also represented by Begüm Yamanlar, whose works were exhibited previously during the Young, Fresh, Different exhibition and at the project space, with her video installation Ada (Island), which consists of photographic images. As the only participating gallery from Turkey, Galeri Zilberman attended Paris Photo for the second time, this time its 19th edition during 12-15 November at the Grand Palais. 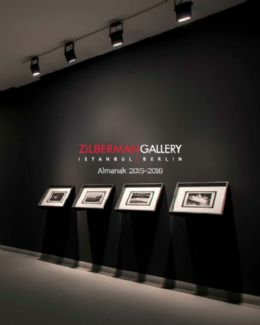 Galeri Zilberman, having contributed with Şükran Moral's personal presentation last year, presented works by Ahmet Elhan, Şükran Moral and Zeynep Kayan. Young Galeri Zilberman artist Alpin Arda Bağcık's work Olanzepin was featured at the PAPKO Art Collection exhibition. Bağcık, known for his photorealist paintings that are inspired by turning points of the 20th century, also exhibited this work at his solo exhibition at Galeri Zilberman. Azade Köker's works will be exhibited during 4-13 December at the 6th International EgeArt Art Days, held at Ege University Ataturk Cultural Centre. 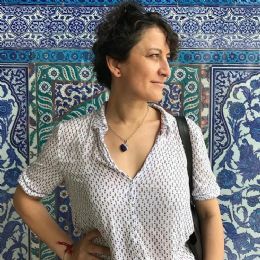 Featuring artists from 26 countries and with almost 30 Turkish universities, the art days will also feature a presentation of the artist on 6 December at 10 am at the Ustaya Saygı ve Yaşayan Anıt Sanatçı Sunumları (Homage to the Master and Monumental Artist Presentations), presented by Dr Burcu Pelvanoğlu. Zeynep Kayan attended the “Asian Contemporary Art Week”, held in New York on 31 October and 1 November. Kayan took part with her artist performance at the event titled Field Meeting Take 3: Thinking Performance, curated by Leeza Ahmady, and focussing on creative process, conceptual change and collaboration with an aim to improve artistic ventures. Walid Siti will feature at the group exhibition titled Arab Territories, curated by Nadira Laggoune, at the “Constantine – Capital of Arab Culture 2015” events. 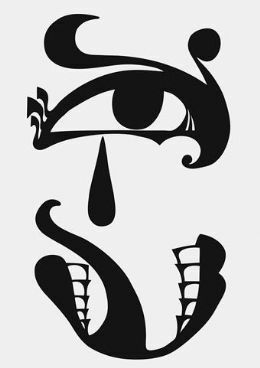 Focussing on the diversity of the Arab world in spite of a common cultural and historical heritage, the exhibition will also feature works from artists such as Sama Alshaibi, Samuel Charbel Aoun, Hayv Kahraman, Lola Khalfa, Yara Mekawei, Lydia Ourahmane. EUROPALIA Arts Festival is an international arts festival which is held every two years to celebrate one invited country’s cultural heritage and this year’s focus was in Turkey. Selçuk Artut was participated in a group show titled Wavelengths-Digital Turkey curated by Ceren-Irmak Arkman within this context. The exhibition centered upon the strong multimedia and digital art scene in Turkey and took place between 10 October-28 November at Les Halles. The works of Memo Akten, Ozan Türkkan, Lara Kamhi and Refik Anadol were also featured in the exhibition. 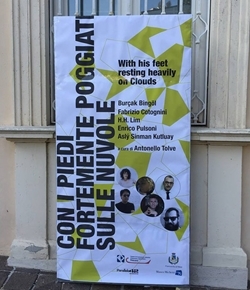 Burçak Bingöl is participating with her new installation Flawless Flow at the group exhibition With His Feet Resting Heavily on Clouds at Italy's Michetti Museum. Curated by Antonello Tolve, the exhibition can be visited until February 2016 and includes, as well as Bingöl, Fabrizio Cotognini, H. H. Lim, Enrico Pulsoni and Aslı Sinman Kutluay. Antonio Cosentino and Extrastruggle will feature at the group exhibition titled Istanbul: Passion, Joy, Fury at the National Museum of the 21st Century Arts. Curated by Hou Hanru, Ceren Erdem, Elena Motisi and Donatella Saroli, the exhibition examines the needs, dynamics and transformations of today's Turkish culture via the bridge between the East and the West. The exhibition, which will feature several other Turkish artists, can be visited between 11 December 2015 – 30 April 2016. Canvas Magazine, distributed on a global scale, now can be found at Galeri Zilberman. 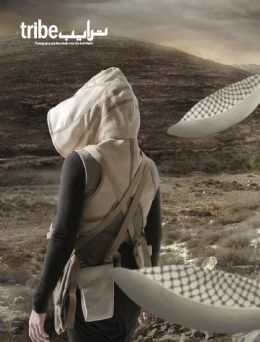 The bimonthly magazine features recent news on Middle Eastern and Arabic culture and art world. 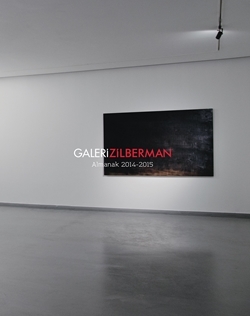 Starting from September 2015 issue, Canvas can be purchased at Galeri Zilberman in Mısır Apartmanı. Galeri Zilberman participated in 2015 edition of Volta11-Basel with a solo presentation of Extrastruggle. 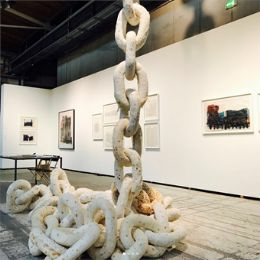 His most recent sculptures, photography and acrylic works are exhibited in the booth. 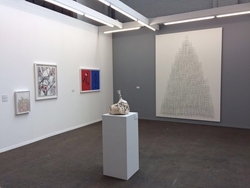 The fair took place between 15 and 20 June 2015 during Art Basel. 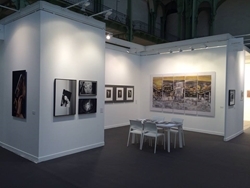 Galeri Zilberman participated in 2015 edition of ViennaContemporary. Artworks of established and young generation artists as Alpin Arda Bağcık, Guido Casaretto, Extrastruggle, Azade Köker, Walid Siti and Gülin Hayat Topdemir are featured in the booth. 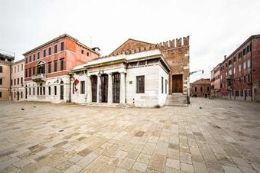 Galeri Zilberman participated in By the Waterside project of Artinternational 2015 with the site-specific installations of Guido Casaretto and Walid Siti. Default Onice by Guido Casaretto and The Tower by Walid Siti could be seen at the project space of Haliç Congress Center, which was reserved for sculptures at the pier overlooking the Golden Horn and historical peninsula. 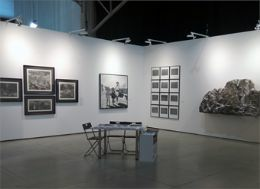 Galeri Zilberman participated in the third edition of Artinternational Art Fair this year. 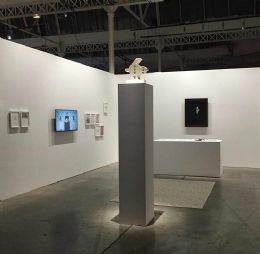 The gallery artists Alpin Arda Bağcık, Burçak Bingöl, Guido Casaretto, Antonio Cosentino, Extrastruggle, Azade Köker and Walid Siti were featured in the fair that took place in Haliç Congress Center between 4 and 6 September 2015. Thinking Currents exhibition curated by Leeza Ahmady was held as an extension of Asian Contemporary Art Week (ACAW). 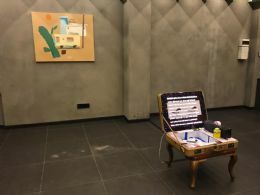 Along with Burçak Bingöl who participated with her video Self-Conscious, 21 other new media artists took part in the exhibition that was held between 30 July and 2 August 2015 as part of the Seattle Art Fair. Burçak Bingöl takes place in a group in a group exhibition titled Ten that is curated by Marcus Graf and organized as part of the 10th Anniversary of Baksı Museum. The exhibition brings together a private selection of works from contemporary artists as well as significant local, historical and ethnographic works. The exhibition can be visited until the 12th of May, 2016 at Baksı Museum. Walid Siti participated in the 2015 edition of ArtBat Festival in Almaty in Kazakhstan with his site-specific installation The Seven Towers as part of the art project titled The Air of Earth. 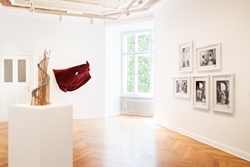 The exhibition curated by Sergey Kovalevsky was held between 27 August and 27 September 2015. 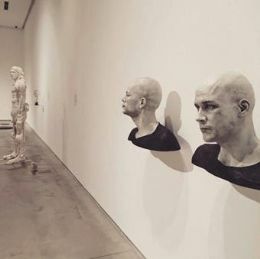 London-based Iraqi artist Walid Siti participated in a group exhibition called Between East and West in Yinchuan Contemporary Art Museum(MOCA) in China. 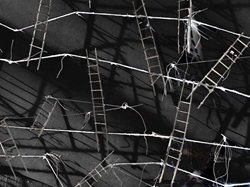 His work titled as Anatomy of Climbing will be featured as part of the group exhibition curated by Lu Peng. The exhibition will be open to visit between 8 August and 6 December, 2015. Curated by Joanna Sokołowska, the exhibition All Men Become Sisters will take place in Muzeum Sztuki w Łodzi (MS). 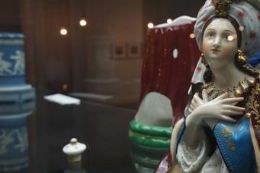 Şükran Moral’s iconic works Hamam and Bordello will be exhibited in the exhibition. All Men Become Sisters appropriates the idea of brotherhood, and negotiates and mediates gender issues through the concept of sisterhood, labour and production. The exhibition will have 33 artist including Rosemary Trockel, Allan Sekula, will take place in between the dates 23 October 2015–17 January 2016. 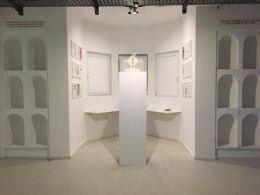 Şükran Moral was featured in Fundiçao Progresso Cultural Center in Rio de Janeiro with her video Hamam. At the exhibition called What’s Appropriation: The Art of Revisiting the Art curated by Claudia Giannetti, alongside Moral, the works of Martha Rosler, Marina Abramonic, Bill Viola, Ulrike Rosenbach were also be seen. 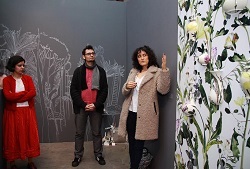 The exhibition was open for visiting between the 8 and 25 October, 2015. Antonio Cosentino participated in the first edition in the Kiev Biennial, which had its first edition this year. Cosentino was included in the Biennial with a video installation titled Stelyanos Hrisopulos. 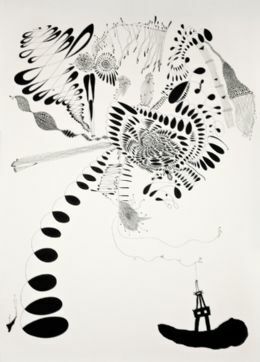 His work was exhibited as part of the The School of Kyiv program of the Biennial that was open to visit between 8 September and 1 November 2015. Antonio Cosentino joins Galeri Zilberman. One of the founders of Hafriyat, an artist initiative that was founded in 1996 and carried out its operations until 2010, Antonio Cosentino has been creating works and opinions that scrutinize the city culture and its components. Besides his sculptures and paintings, he has photographs and videos that directly get in touch with the city and space transforming the social structure by delaminating its layers. Antonio Cosentino, with his creative production that keeps an ironic track of lurid city memory, will strengthen the socio-critical line of Galeri Zilberman. Azade Köker’s new solo exhibition Entkettet/Dissolution including her most recent works opened on the 9th of October, 2015 at Elgiz Museum. 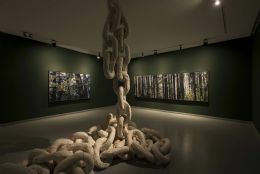 Dealing with the nature and the human’s connection with it, Köker builds new forms of relationships through multilayered mixed media canvases and sculptures along with site specific installations. Entkettet/Dissolution can be visited until the 7th of January, 2016 at Elgiz Museum in Maslak. Şükran Moral, one of the seminal performance artists in Turkey, will be at Kode Art Museums of Bergen with her solo exhibition titled My Pain My Rebellion. The exhibition, which will be artist’s largest solo exhibition of her career so far, presents Moral’s works from the last 25 years, but will also include some new works. My Pain My Rebellion will be open to visit between 30 October 2015 – 28 March 2016. Galeri Zilberman has kicked off the new art season with a group show titled Minor Heroisms curated by Nat Muller. 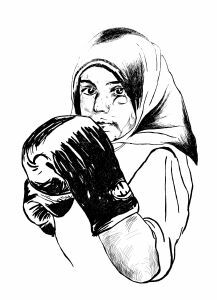 Taking their inspiration from the art of Islamic miniatures, the artists in Minor Heroisms lend this centuries-old practice an urgent and timely interpretation. With the works of international artists such as Hayv Kahraman, Aisha Khalid, Femmy Otten, Imran Qureshi and Galeri Zilberman artists including Burçak Bingöl, Extrastruggle, Azade Köker on show, the exhibition was opened until the 24th of October. 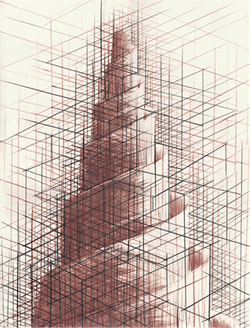 Metropolitan Museum acquired Walid Siti’s From the series "The Seven Towers I" for its permanent collection. Walid Siti's recent exhibition New Babylon was hosted by Galeri Zilberman last month. “The Seven Towers I” is based on the same artistic theme with the exhibition, combining the natural topography with the man made materials and taking on the process of destruction and construction in the Middle East. Burçak Bingöl featured in the exhibition Stay With Me between November 27th and December 24th at Apartment Project in Berlin. 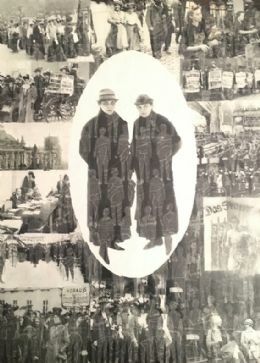 The exhibition revolves around the Gezi Park protests in Istanbul and is comprised of the artist books and notes exploring differing perceptions of reality, existence, unity, hope and fear experienced at that time. Bingöl embellishes the pages of her book with the leaves she collected from Gezi Park and makes compositions along with ‘Gezi’ anecdotes. 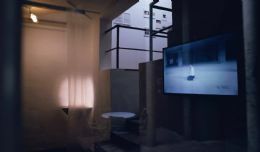 Eşref Yıldırım’s interactive project Prison for Minor Offenses performed at Sinopale 5 was exhibited at Galeri Zilberman’s project space last month as an installation including the video of the performance in Sinop. The video of the performance exhibited has been chosen as one of the 20 films that will be combined into a DVD and will be displayed at the international film festivals in the forthcoming months. 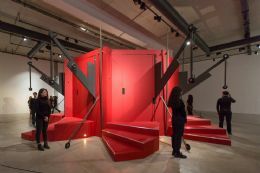 Eşref Yıldırım’s Kan İzi (Blood Stain-2012) is being exhibited at Transparency of Evil or Looking to the Other exhibition at Kare Art Gallery. The work, created upon the news in Yeni Akit newspaper on the July 23rd, 2012 broadcasting a photo shot after the Madımak Hotel fire, transforms the stain, which was claimed to be a “blood stain” on the slain Belkıs but turned out to be her colorful braid, into an installation. 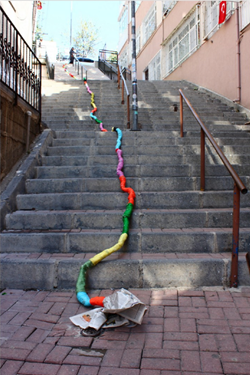 The giant braid of Belkıs is being reproduced in the streets of the city by Eşref Yıldırım with colorful pieces of rope and newspaper. Kan İzi (Blood Stain) by Eşref Yıldırım can be seen at Kare Art Gallery until February 14th. 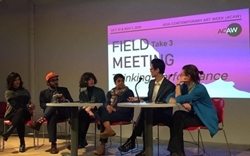 Burçak Bingöl participated in the field meeting at Asian Contemporary Art Week (ACAW) that took place in New York between October 22nd and November 2nd 2014. In the forum, the works created by the artists, curators, academics and corporate leaders living in Asian territories were discussed. Burçak Bingöl discussed her works, in relation to the effects of local politics, history, understanding of ethics and traditional art forms. Galeri Zilberman will attend the 2015 edition of Zona Maco Mexico Arte Contemporaneo art fair in Mexico City. 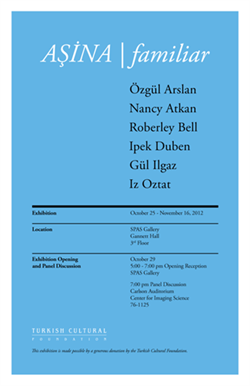 Having included Alpin Arda Bağcık’s individual presentation last year, the gallery will feature Fırat Neziroğlu, Burçak Bingöl, Alpin Arda Bağcık, Aslı Torcu and Zeren Göktan in the 2015 edition. 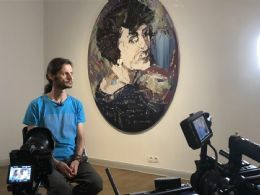 Combining various materials such as photography, oil painting, textile, sculpture and beadwork, the presentation of Galeri Zilberman aims to bring together young generation local artists with visitors in an international platform. 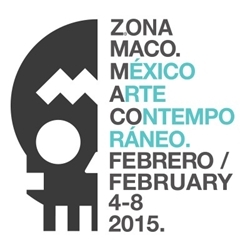 Zona Maco Mexico Arte Contemporaneo will take place February 4th-8th. 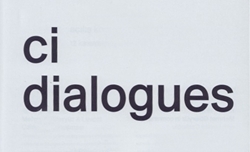 As part of Contemporary Istanbul Art Fair that took place November 13th–16th 2014, CI Dialogues talk programme included conferences and talks exploring new approaches to contemporary art. CI Dialogues this year hosted Selçuk Artut as a speaker at a session titled “The Art of Sound” moderated by Ceren Arkman. Artist Zimoun also participated in the session. In the panel, the exhibition and the collection of the art of sound as well as its position in the current art market were discussed. Galeri Zilberman’s new artist Extrastruggle’s duo exhibition with Antonio Cosentino, Mom I'm Going Out To Pour Some Concrete can be visited at an independent exhibition and event space “Studio X” between January 16th and February 27th. 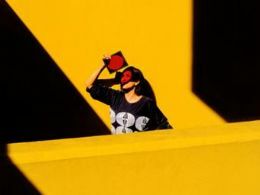 The artists criticize the rapidly changing landscape of Istanbul’s periphery with their unique artistic language and make suggestions against the transformation. Extrastruggle designed three spheres for the children stuck inside unlicensed construction: The Library That Reads, The Multiple Temple and The National Fart. A critique of Bingöl's latest exhibition Araba Sevdası, named after Recaizade Mahmut Ekrem's novel and opened at Galeri Zilberman in May, has been published in ArtAsiaPacific's 90th issue. Penned by H.G. Masters, the article was featured in the New Currents section. 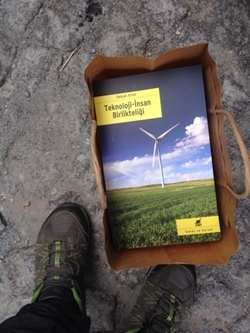 Known for his academical and artistic work on New Media, Selçuk Artut has released a new book titled Teknoloji-İnsan Birlikteliği (Fellowship of Technology and Humans) through the publishing house Ayrıntı Yayınevi. Written with the aim of helping us grasp the interaction of technology and human nature which advances further and further without giving us time to examine it, the book is available to buy at bookstores everywhere. Eşref Yıldırım has begun work at Akbank Sanat's Print Workshop as the guest artist of the months of September and October. The artist's work on new prints can be observed at Akbank Sanat's Beyoğlu building Wednesdays between the hours of 10:30am and 5:30pm. In its 5th year and curated by a special group of curators, Sinopale featured Eşref Yıldırım's interactive-performative installation Küçük Suçlar Hapishanesi. Yıldırım often takes on the subject of “crime and its consequences” and with this work he “gave the Sinop public a free chance to rid themselves of petty crime”. Taking place at the Water Museum of Thessaloniki, the Thessaloniki Photo Biennial is open to visitors from June 28 to September 30. 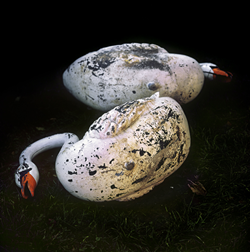 Zeren Göktan’s Black Swan Event series is a part of the Logos VII section of the Biennial. The works presented in this group exhibition seek to guide the viewer to destroyed places – destroyed due to large historical events caused by politicians, technological reasons or even on the smaller scale by personal disasters. Zeren Göktan is accompanied by artists Sergey Shestakov, Andros Efstathiou, and Panayiotis Lamprou. 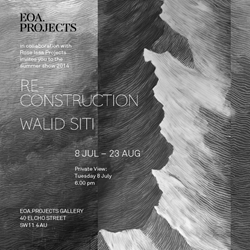 Walid Siti opened his latest exhibition Re-Construction at Edge Of Arabia in London. The artist of Iraqi/Kurdish roots who now lives in London, takes on the socio-political change and transformation that is taking place in the Middle East. Comprising of the artist's installations, paintings and patterns from the year 2013, the exhibition took place between 8 July and 24 August. As one of the most important performance artists in Turkey with her political and provocative works, Şükran Moral’s works are hosted in the exhibition B[R]YZANZ which opened on May 18, at Edith Russ Haus für Meidenkunst, Oldenburg, Germany. Curated by Claudia Gianetti, the exhibition features Moral’s seminal works such as Hamam and Bordello, alongside her new works Tales to a Young Girl and Child-Bride which are being exhibited for the first time. B[R]YZANZ can be visited until August 31. 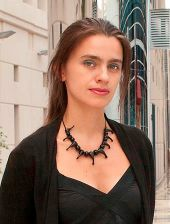 K29 Ricarda Fox Galerie in Essen, Germany, hosts Özlem Şimşek's exhibition. 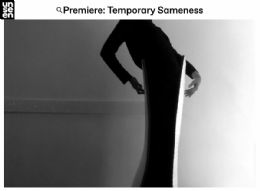 The artist’s photography and video works are featured in her first solo exhibition outside of Turkey. 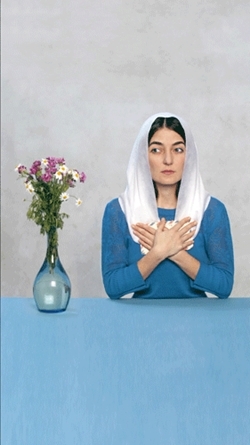 Şimşek’s works in the exhibition analyze and recreate the representations and photographs of Turkish women in art history and question the identity of the modern Turkish woman. 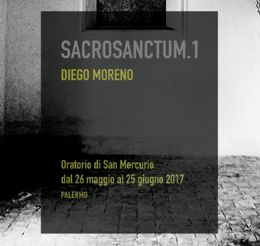 The exhibition can be visited during June 13 – July 25. Selçuk Artut’s two separate works have been added to the Vehbi Koç Foundation Collection. The works What You See is not What You See and Analogue Pixels have been a part of Artut’s recent solo exhibition “Data Reality” at Galeri Zilberman. 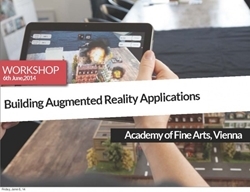 On June 6, 2014, Artut held a seminar and workshop on the topic of Data Reality at Vienna Fine Arts Academy. Along with the participants, an application for mobile devices was developed. 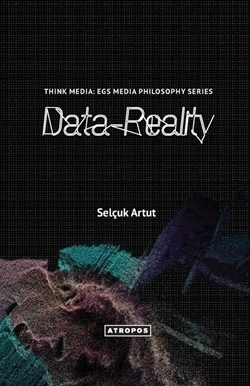 Artut, who also works on augmented reality as an academic, has published a book titled “Data Reality” from Atropos Publications. Bingöl is a part of an exhibit in Baksı Museum located in Bayburt’s Baksı Village in northeast Turkey. The museum has awarded the honor of displaying a sculpture by Joan Miro for a year due to receiving museum of the year award from the European Council. Bingöl’s work from the series Alien to Itself has been added to the museum collection and is also a part of the exhibition “Sculpture Road to Miro”, curated by Emre Zeytinoğlu and Nilüfer Engin, featuring 23 artists. 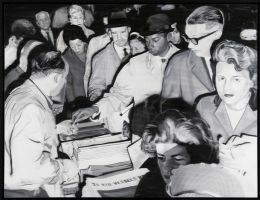 The exhibition can be visited throughout the year. The fifth edition of Galeri Zilberman’s Young Fresh Different, a project providing young artists visibility and financial incentive, has been selected. 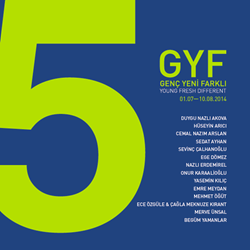 15 works have been chosen by the selection committee consisting of Emre Zeytinoğlu as moderator, Genco Gülan, Burcu Pelvanoğlu, and Burçak Bingöl as the gallery representative. The exhibition will have its opening on Saturday June 28, and can be visited during July 1 – August 10 at the second floor of Mısır Apartmanı. On Friday April 12, a panel was held at the gallery space regarding Eşref Yıldırım’s exhibition “Salute!” which featured works on the issues of suspicious deaths and forced disappearances. Moderator Rahmi Öğdül and journalists and writers participants İsmail Saymaz, Pınar Öğünç, Pelin Temur and Eşref Yıldırım discussed suspicious soldier deaths, mandatory military service, and forced disappearances in the 90’s Turkey. Receiving a lot of interest, the panel also introduced Eşref Yıldırım’s artist book Well which is based on a text by Pelin Temur. 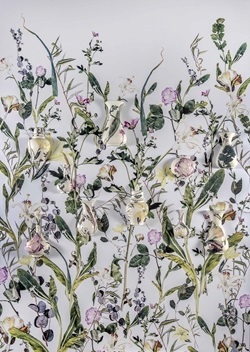 Printed in limited edition, Well can be obtained from Galeri Zilberman. American artist Kay Rosen was in conversation with Merve Ünsal about her first solo exhibition in Istanbul. Audiences were informed about the artist’s works and her latest exhibition which features her new paintings as well as a wall painting made specifically for the gallery space. 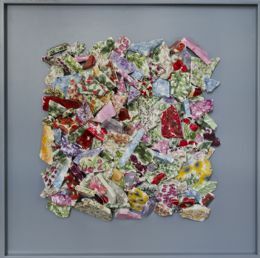 Kay Rosen’s exhibition can be visited until July 26, at Galeri Zilberman’s space on the third floor of Mısır Apartmanı. 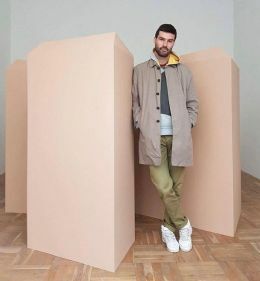 WoWmen Festival which was held in Brussels between 10 and 14 March, featured Şükran Moral's videos titled 'Hamam' and 'Bordello'. The festival also featured works of video, film and installation by Marjis Boulogne, Nada Gambier, Nilbar Güreş, Sharon Hayes, Marie Losier and Zeyno Pekünlü. Organised with the goal of supporting and giving visibility to young artists, Young Fresh Different, now in its 5th year, provides production aid to its selected artists. 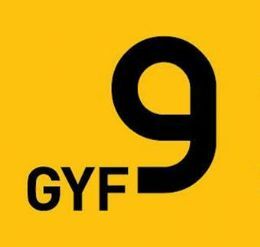 The jury comprises of Emre Zeytinoğlu (president), Genco Gülan, Burcu Pelvanoğlu and Burçak Bingöl (representing the gallery), to create this year's compilation. The selected artworks will be on display from 28 June to 10 August 2014 at the gallery. Şükran Moral's 'The Last Green' is the latest addition to the ever-expanding German Art Collection Telekom which has hosted many important names since its foundation in 2010. Focusing on visual arts created in Eastern and Southeastern Europe due to their recent social and cultural transformations, the collection follows its artists in the long term, thus creating a collection that's strong in the aspect of stories and their narratives. Supported by Galeri Zilberman, Zed Grant continues its events at Kat1. Hosted and managed by Zeyno Pekünlü, this workshop's aim was to discuss the history of storytelling, entering the possibilities of digital storytelling, discovering the areas these possibilities can open up for us in art and activism, and produce individual or group projects. The workshop took place on 5, 12 and 26 February at Kat1. In her new book “Kimlikli Bedenler” (Bodies with Identity), Ahu Antmen investigates the cultural patterns of body around identity, through various works of art, made at separate periods in time. Curated by Sasa Nabergoj, this triennial will feature works that focus on the city's social and natural ecology and aim to create a new and different perspective on biology, activism, technology and art in a contextual frame. 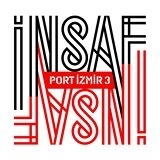 Comprised of contemporary artists, “İnsaf” (It's Enough!) 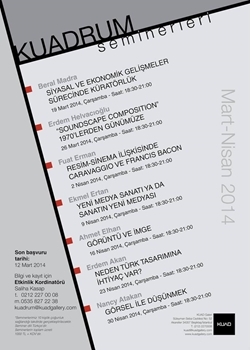 can be visited at İzmir's old Austro-Turk Tobacco Warehouse between 21 March and 21 June. Burçak Bingöl's ceramics exhibited at "Learned Helplessness: on Authority, Obedience and Control"
Burçak Bingöl's works will be taking part in the group exhibition entitled "Learned Helplessness: on Authority, Obedience and Control", aiming to build a platform of thought and discussion on the methods of change with the metaphor of overcoming learned helplessness and mastering its contrary. 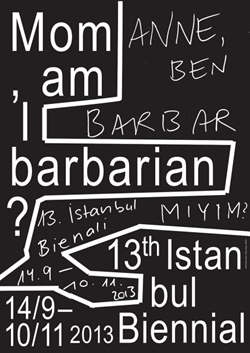 Curated by Işın Önol, the exhibition will take place during April 10 – May 24, at Bergsen&Bergsen Gallery. Providing a platform for an exchange of information on art and culture, this seminar will host many important figures talking about various subjects. Ahmet Elhan will give a speech about the integrated relationship between the photographic image and “space and time”. The speech will take place on Wednesday, 16 April between 6:30 and 9:00pm at Kuad Gallery. Expoloring the limits of space through the qualities of architecture, “Impossible Structures” hosts Ahmet Elhan and seven others. Elhan's 'Yerler: İstanbul Erkek Lisesi I' (Spaces: İstanbul Erkek Lisesi I) will be on display with the rest of the artwork at Kare Art Gallery between 4 and 29 March. Walid Siti's newest paper, painting and installation work can be seen at his new exhibition at New York's Taymour Grahne Gallery. In the exhibition, titled “Parallel Realms”, Siti takes on the fast social transformation and the obscurity of the future by reproducing the Kurdish cultural figures that shaped his visual vocabulary in a complex and contemporary structure. Şükran Moral will be featured with her performance photo “Hamam” at the exhibition titled “Call Me on Sunday” at Krinzinger Projekte as part of Curators Collectors Collaborations. The exhibition will also include works by Marina Abramović, Tacita Dean, VALIE EXPORT, Maria Lassnig and Meret Oppenheim. The exhibition is curated by Ursula Maria Probst and most of the featured artwork belongs to private collections. 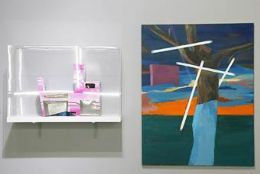 “Call Me on Sunday” can be visited between 28 March and 31 May at Krinzinger Projekte, part of Galeri Krinzinger. Bil's, known for its collaborations with designers and artists, has worked with Zeynep Kayan in its current season. 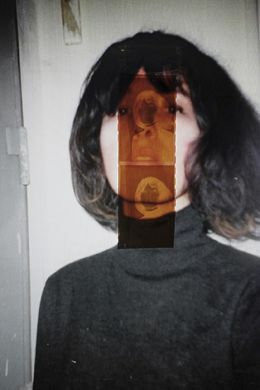 Bil's has begun to use a series of Kayan's videos and photographs which feature her signature artistic language that intertwines image and performance, in its shops and promotional material. Şükran Morals Despair is among the new acquisitions of the Deutsche Bank. Galeri Zilberman is delighted to announce that the Deutsche Bank has acquired the last edition of Şükran Moral’s photographic work “Despair” for its highly revered contemporary art collection. Founded in 1979, the Deutsche Bank Collection’s initial aim was to support young artists from Germany, but as the bank has grown exponentially, the collection has also expanded its acquisition policy to international artists, both emerging and established, from different parts of the world. Galeri Zilberman will participate in the 11th edition Zona Maco Mexico Arte Contemporaneo art fair in Mexico City. 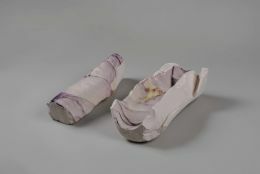 Alpin Arda Bağcık's latest works will be exhibited in “New Proposals”, selected by Mirjam Varadinis, curator at the Kunsthaus Zurich. 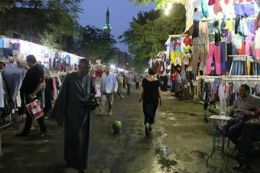 The fair will take place between the 5th and the 9th of February. The opening of the exhibition “Are You As Great As My Shade?” takes place at Hub, the recently launched contemporary art space within CerModern, on the 17th of December. The exhibition hosts Guido Casaretto and five other artists. The idea of the exhibition is to investigative “creative flow”, a term firstly described by the Hungarian professor of psychology Mihaly Csikszentmihalyi. The artworks reflect what blocks the process of production and have been created especially for the exhibition. They highlight the creative block that many experience, especially those who produce with an inner joy, and will be open to the public until the 14th of January. 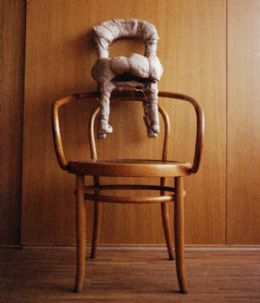 Alluding to the 1974 theory with the same name by economist E.F. Schumacher and curated by Fabrice Boustou, “Small Is Beautiful” featured Burçak Bingöl's “Barbie Blues” alongside works by Erwin Wurm, Mona Hatoum and Louise Bourgeois. An article titled “Codes of Limbo” on the solo exhibition the artist opened last year at Cda-Projects was published in Ibraaz. Written by Başak Şenova, the article focuses on the multi-dimensional artistic research and production process of the project concerning “violence against women”. Selçuk Artut has a new book out. The book investigates the 21st century revolution of information and the notion of reality in the relationship between man and technology. Prepared by an editorial team consisting of prominent academic figures such as Judith Butler and Slavoj Zizek, it can be purchased on Amazon.com. 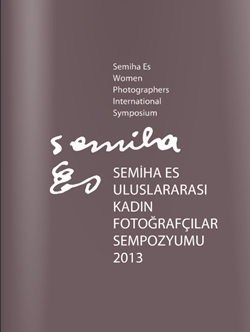 Kayan and Şimşek's photographs will feature in an exhibition, part of Semiha Es International Women Photographers Symposium, organised jointly by Koç University Social Gender and Women Studies Research and Application Centre (KOÇ-KAM) and Sabancı University Social Gender and Women Studies Forum from 28-30 November 2013. Ahmet Elhan's work titled “Old Mosque 6”, from his series “Places”, which consists of hundreds of photographs of the same place taken at different times, has been acquired by the Zayed Museum. 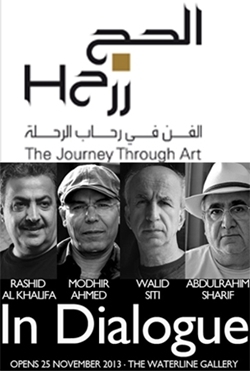 Walid Siti ‘s work is included in the exhibition titled “Hajj - The Journey Through Art” at the Museum of Islamic Art in Doha, Qatar. Organised in conjunction with The British Museum, the exhibition invites its audience to witness the Islamic pilgrimage of Hajj, which has been taking place for 1350 years in Mecca. The exhibition is on view through 5 January 2014. Siti's work is also featured at The Waterline Gallery in Bahrain in an exhibition titled “In Dialogue” which focuses on the political artworks of four contemporary artists from Bahrain and Iraq. 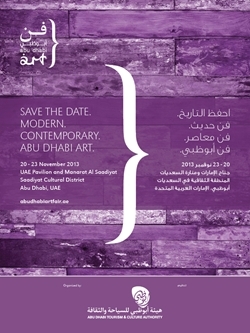 The exhibition will be on view through 25 January 2014. 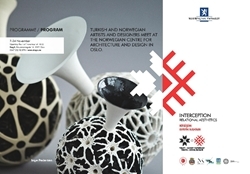 The exhibition at the Norwegian Centre for Design and Architecture in Oslo which featured works of 24 Norwegian and Turkish artists and designers took place between the 7th and the 24th of November. Focusing on the similarities between Oslo and Istanbul, the exhibition examines how people interact with the urban habitat. 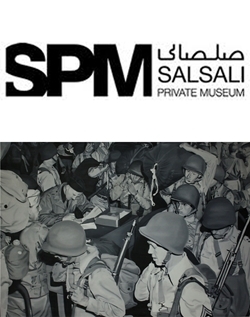 Alpin Arda Bağcık's works have been acquired by the Salsali Private Museum in Dubai. 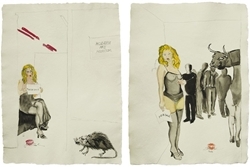 Bağcık's work was also featured at the exhibition titled “Violence(? 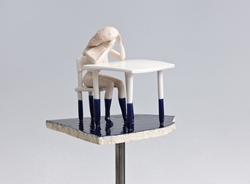 )”, curated by Maria Marangou, from 30 October to 30 November 2013 at the CAID Cultural Centre in Athens. 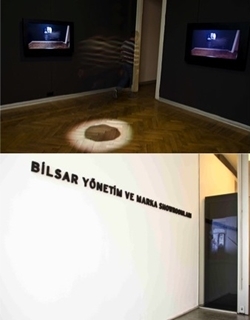 The exhibition, which featured Şükran Moral's video work “Bordello” (1997) was curated by Murat Orozobekov. The exhibition also featured works by Nezaket Ekici and Gülsün Karamustafa, was on view until 7 December. The fair took place from the 20th to the 23rd of November in Saadiyat Island of Abu Dhabi, a country that is fast becoming one of the new hubs of contemporary art with its new world-famous museums. 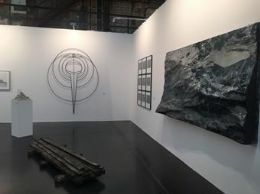 The gallery participated in the fair with works from Alpin Arda Bağcık, Janet Bellotto, Burçak Bingöl, Afra Bin Dharer, Ahmet Elhan, Sherin Guirguis, Azade Köker, Fırat Neziroğlu, Walid Siti and Gülin Hayat Topdemir. 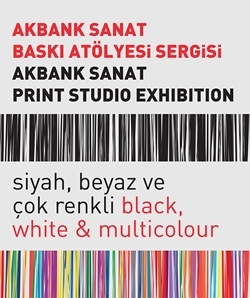 Organized by Hasan Bülent Kahraman, the exhibition at Akbank Sanat brings together a selection of works that came out from its printmaking studio in the last twenty years. The exhibition run from 7 November until 14 December. Aslı Torcu has participated in “Gala Modern”, an annual event organised with the aim of supporting educational projects of Istanbul Modern. 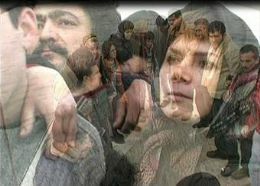 Apart from the artist's work, which she created especially for this project, the event also featured works from Erol Akyavaş, Rasim Aksan, Ali Alışır, Ani Çelik Arevyani, Canan Dağdelen, Devrim Erbil, Ahmet Ertuğ, Dice Kayek and Sabire Susuz. The event took place on 14 December. İpek Duben will be showing her seminal work “Manuscript” (1994) at the 13th Istanbul Biennial, titled “Mom, am I barbarian?” after Lale Müldür's book with the same name, and curated by Fulya Erdemci. The exhibition is on view from September 13 through October 20, 2013. 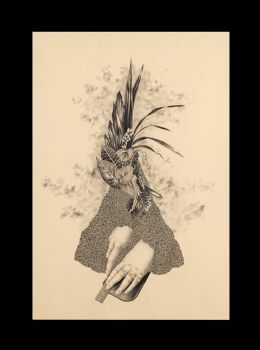 İpek Duben, an artist who has become a leading figure in contemporary Turkish art and is known for her research-based, socially-themed works which she directs from a feminist point of view, is having a new solo exhibition at The Agency in London on view through November 9, 2013. Iraqi-born Walid Siti currently lives and works in London. 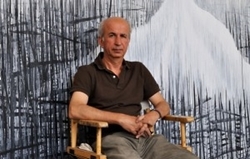 The artist has exhibited internationally in many countries such as Russia, Austria, Denmark, Germany, Italy, The Netherlands, Taiwan and United Arab Emirates, and he represented Iraq at the 54th Venice Biennale in 2011. The artist presented a new performance titled “Lynching The Artist” at Rapid Pulse International Performance Art Festival on 3rd of June. The 10-day-long festival featured works from 36 artists. 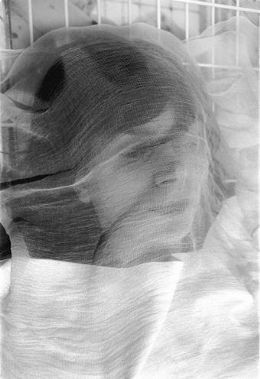 Şükran Moral is exhibiting her works “Bordello”, “Hamam” and “Morgue” in the exhibition “Portait of a city, Art in Rome, 1960-2001” at MACRO, Italy. 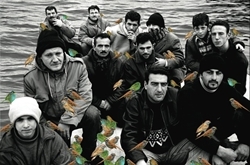 The exhibition takes place at the Natural History Museum in Nimes between March 7th and April 28th, and includes Özgür's 2010 video “Metamorfoz Muhabbet” (Metamorphosis Chat). 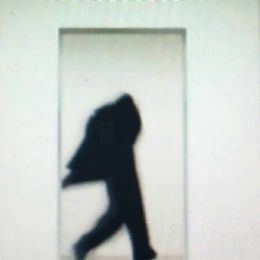 Şükran Moral participates in the video program “Hetero Q.B.” at the National Museum of Contemporary Art in Lisbon, Portugal. 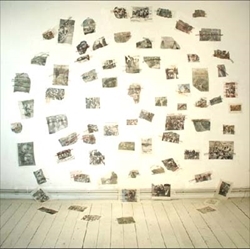 She presents “Bordello”, a video of her 1997 performance in a brothel in Yüksekkaldırım, Beyoğlu, Istanbul. The exhibition can be visited from April 4 to May 30. 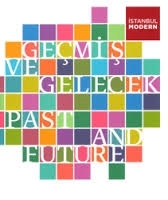 "Past and Future" an exhibition of Istanbul Modern's permanent collection includes works by Galeri Zilberman artists from different generations. Özgür's ‘Metamorphosis Chat’ and ‘Life is Beautiful’ are in the exhibition titled “Portrait of the Moving Image” which runs in parallel at Jönköping County Museum and Vandalorum in Värnamo from March 9 through April 7. 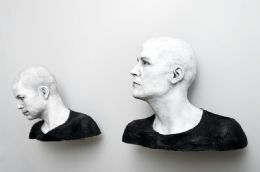 Galeri Zilberman artist Şükran Moral participated in the special project named “Bodies Of Silence #3” at Cuntemporary which provides listings of exhibitions, talks and events in London at the intersection of Visual Arts, Feminism and Queer. 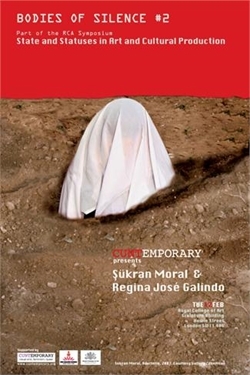 Şükran Moral's “Zina” (Adulterio) featured at the Royal College of Art in a symposium titled “State and Statuses in Art and Cultural Production”. Galeri Zilberman artist will be holding his solo exhibition “Let Everybody Come Out Today”, featuring 5 of his previous works and 2 new videos, at Marabouparken in Sundbyberg, Sweden. 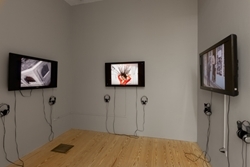 Galeri Zilberman artist Ferhat Özgür's video installation “I Can Sing” was exhibited in New York at MoMA PS1 from October 25th 2012 to January 19th 2013. Galeri Zilberman artist İpek Duben participated in the group exhibition “Aşina / Familiar” at SPAS Gallery at Sage Art Center in Rochester, New York from October 25th to November 16th.